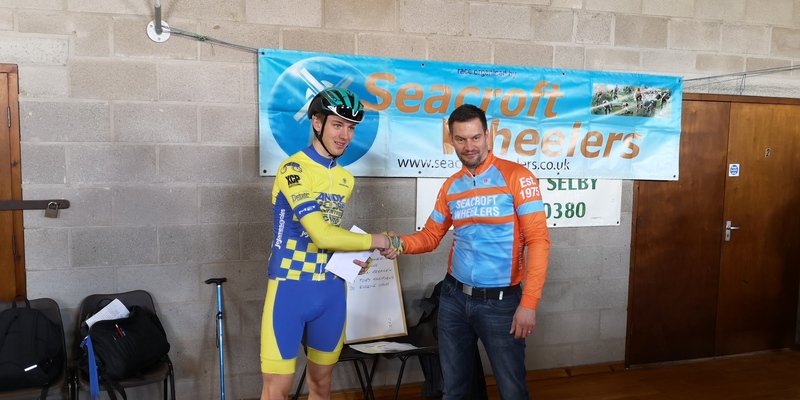 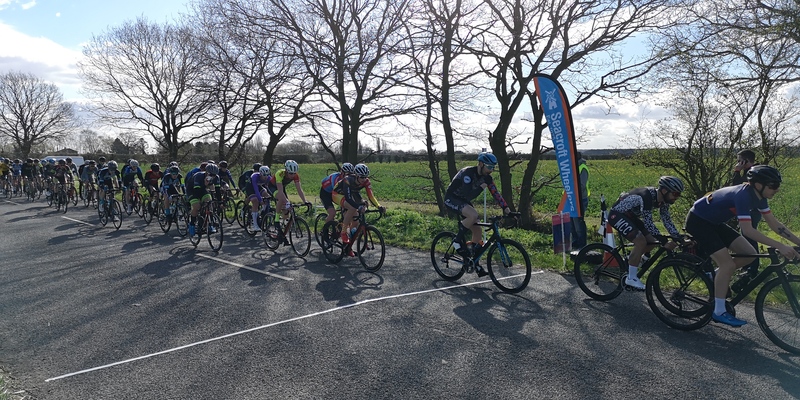 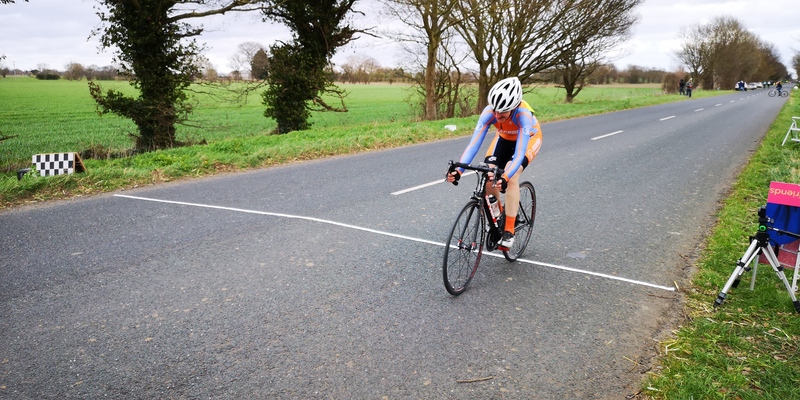 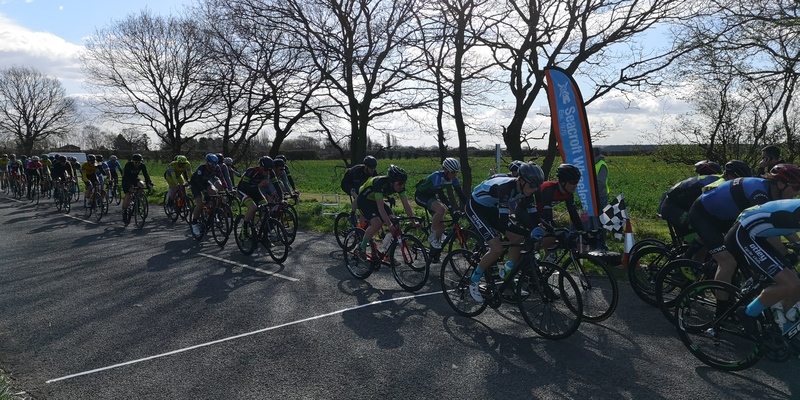 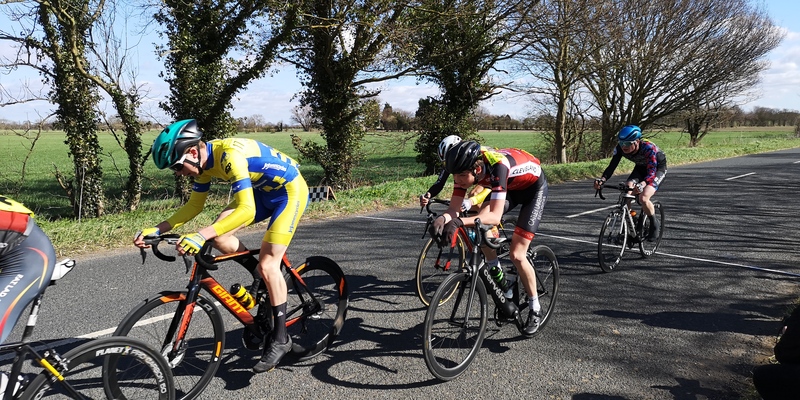 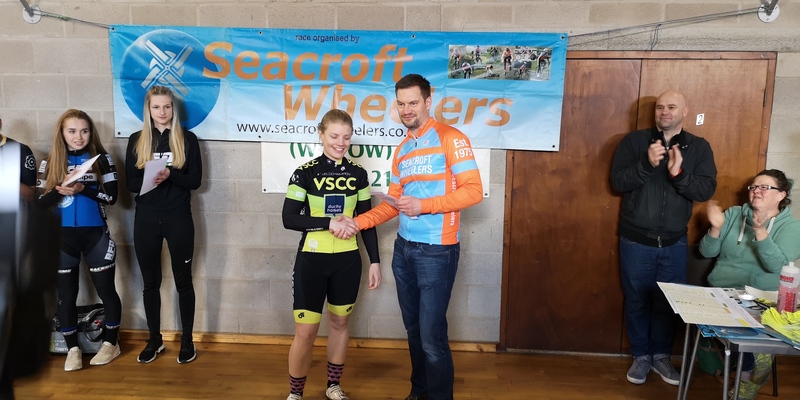 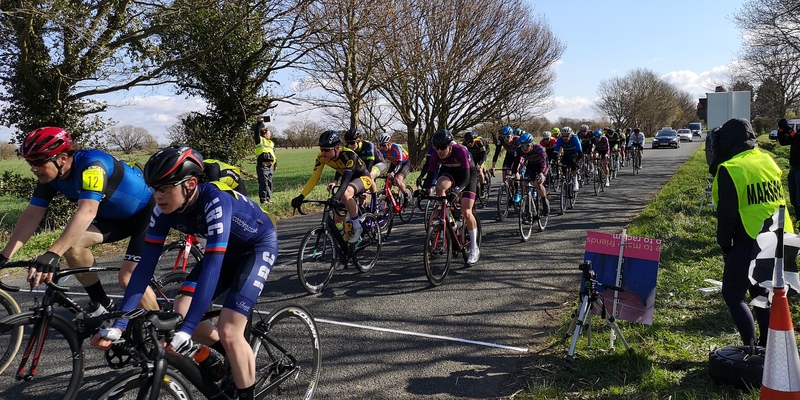 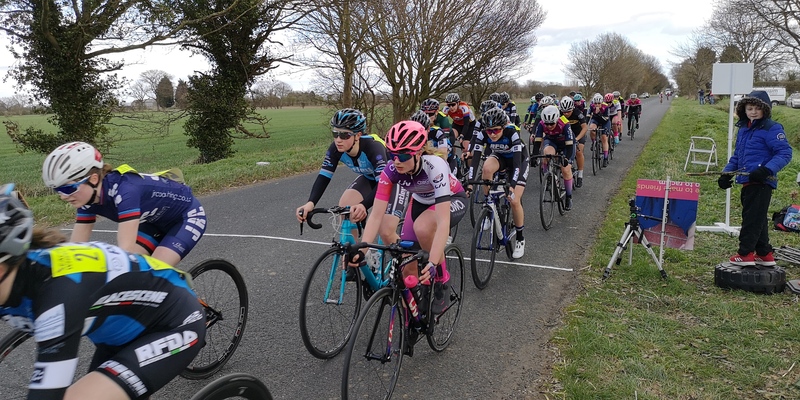 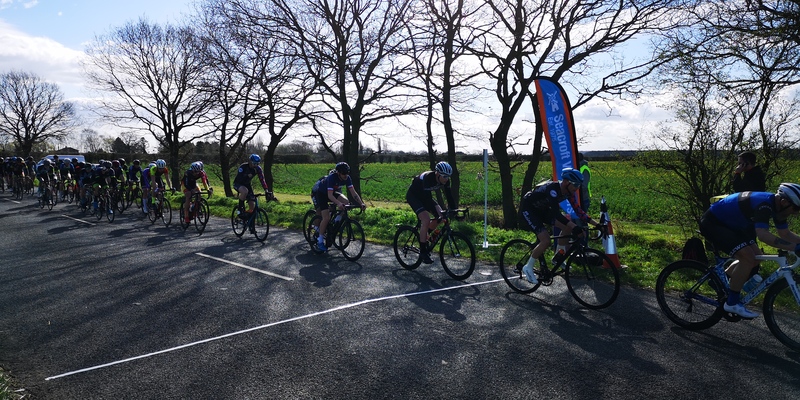 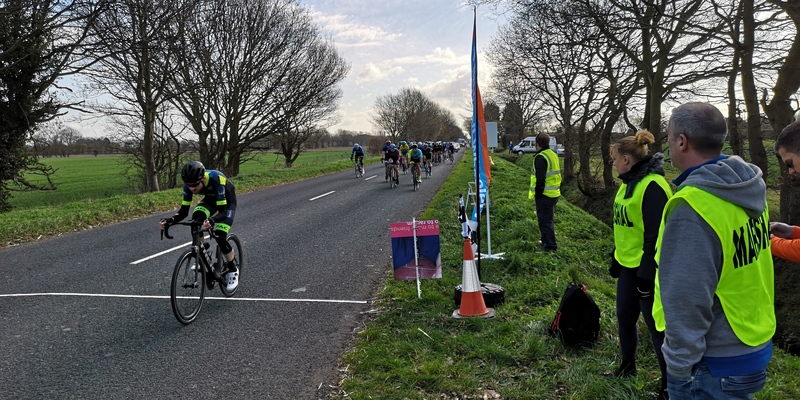 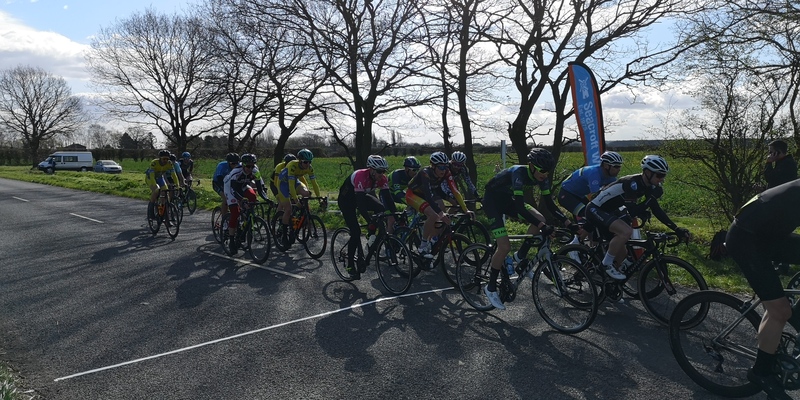 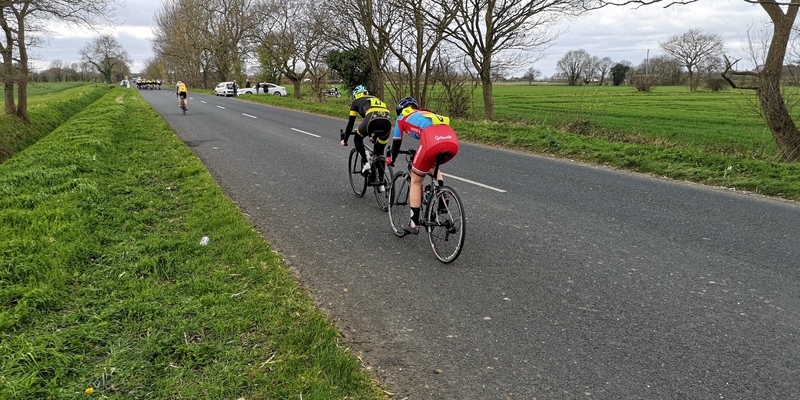 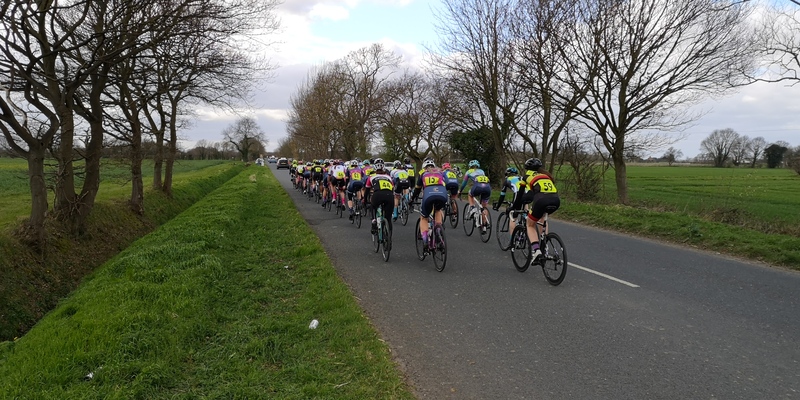 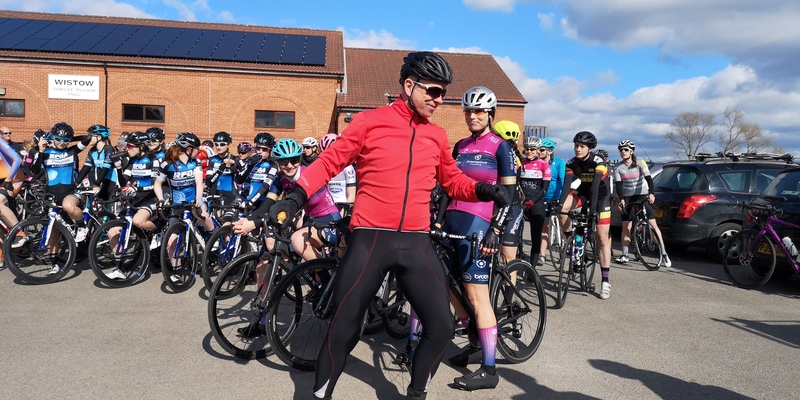 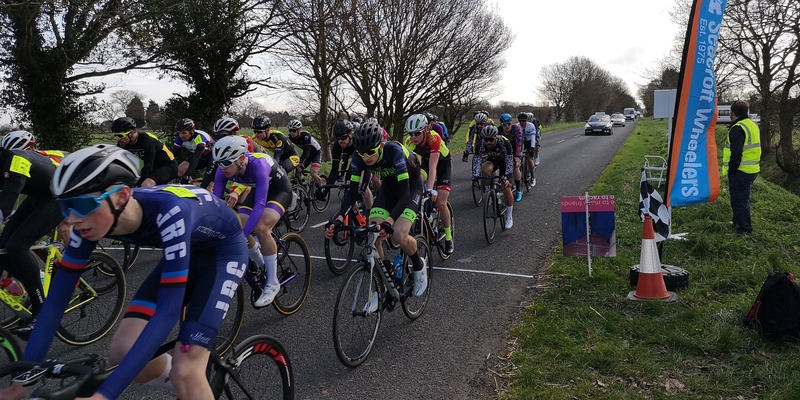 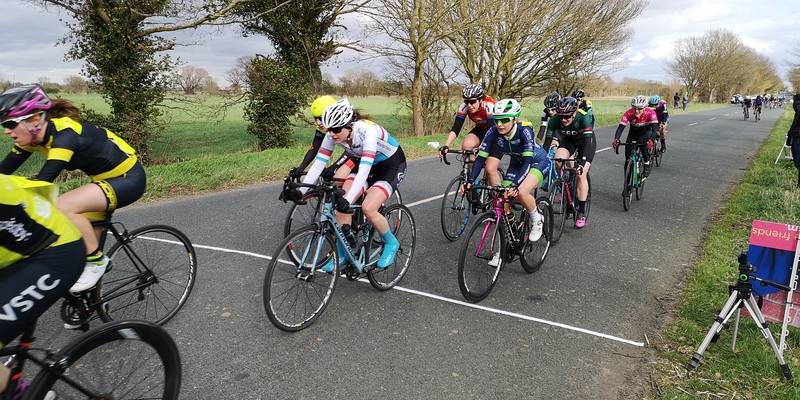 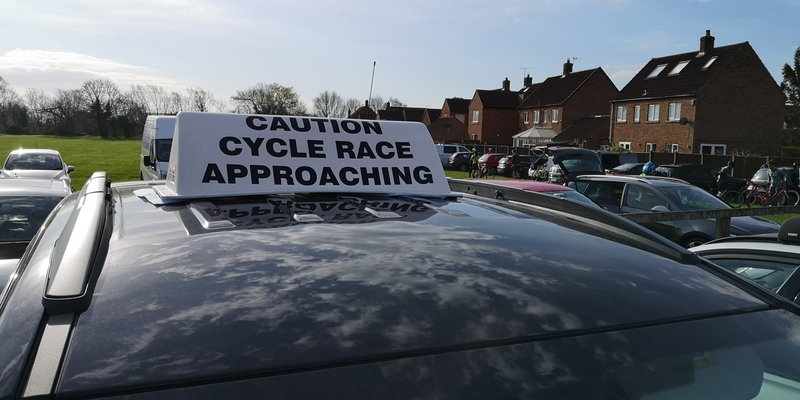 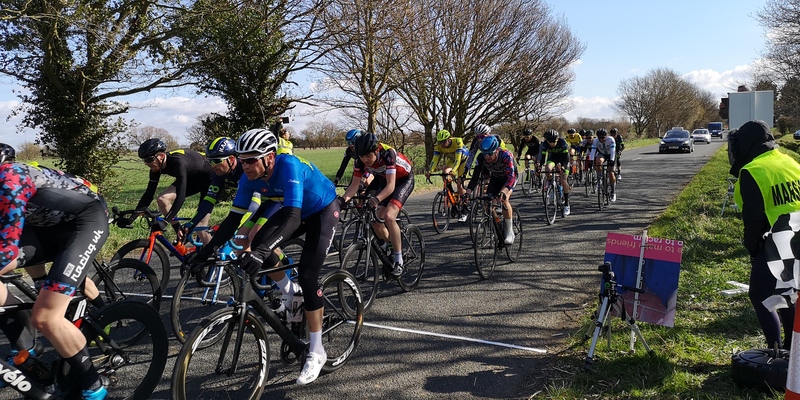 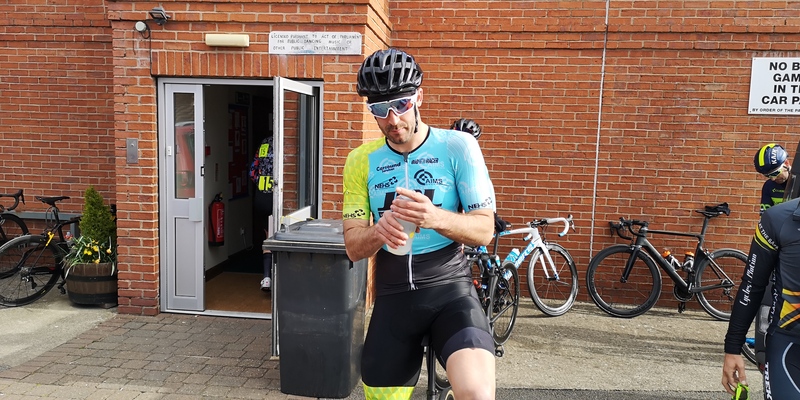 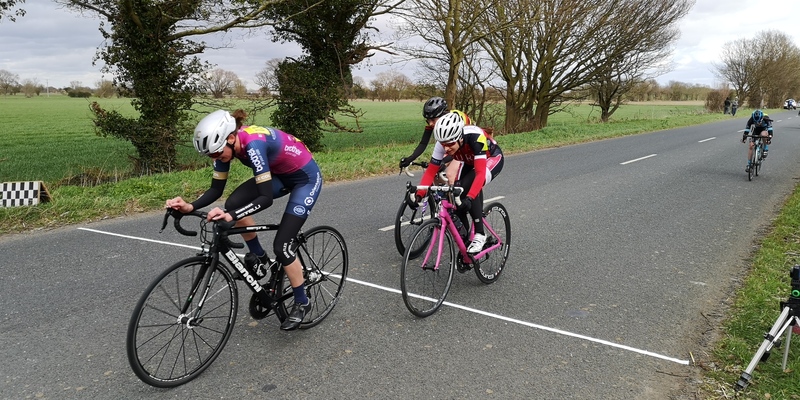 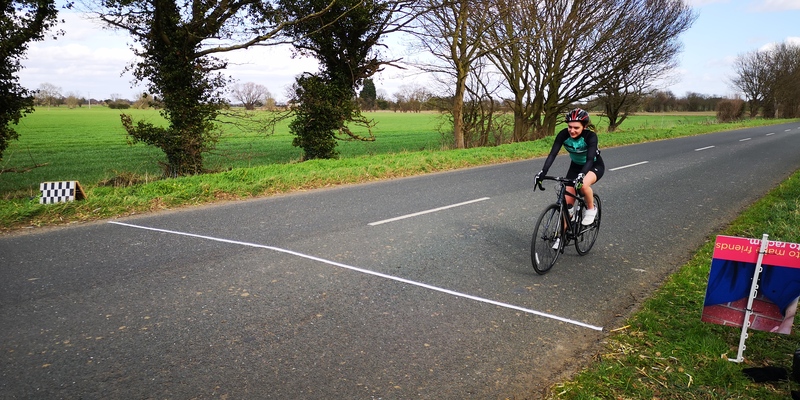 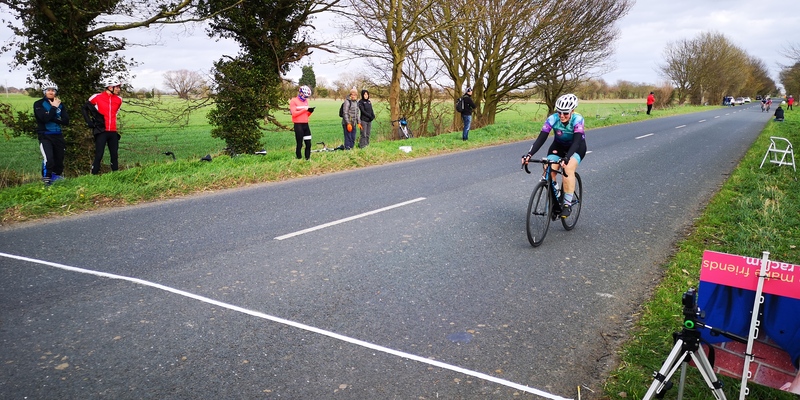 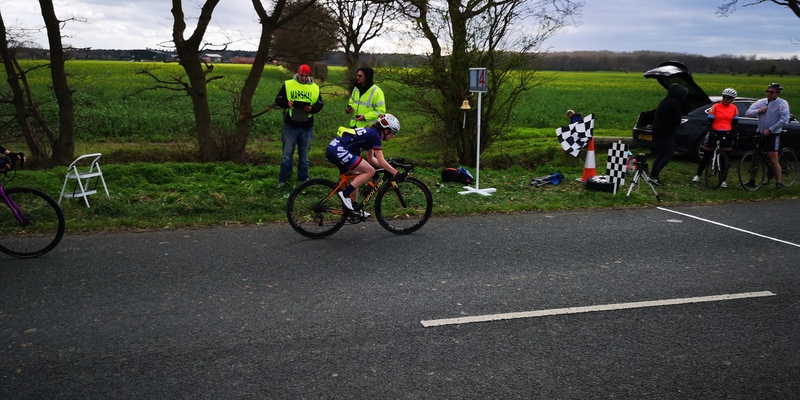 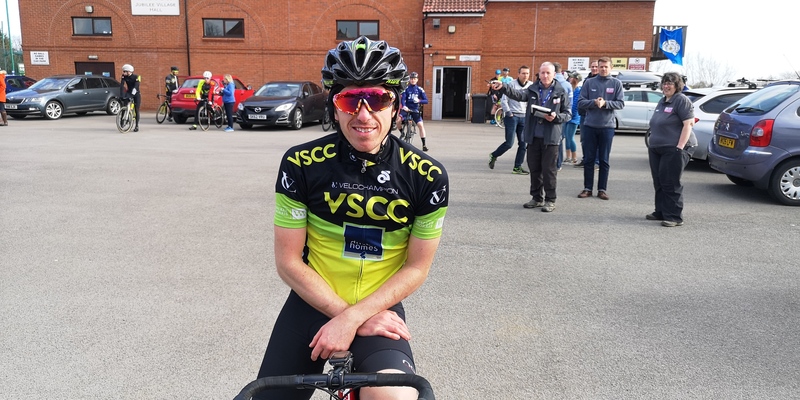 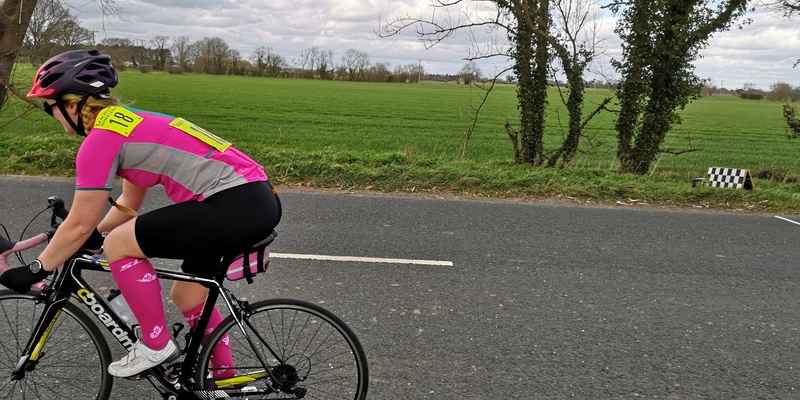 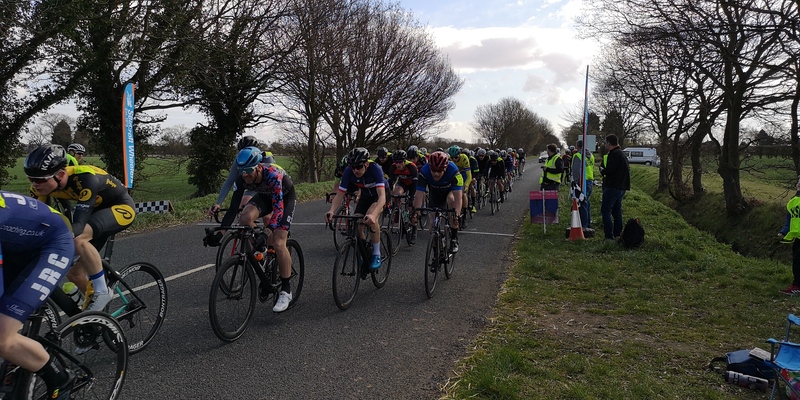 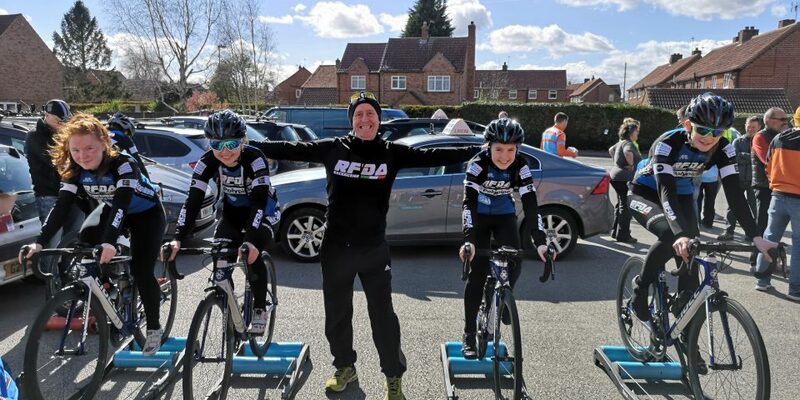 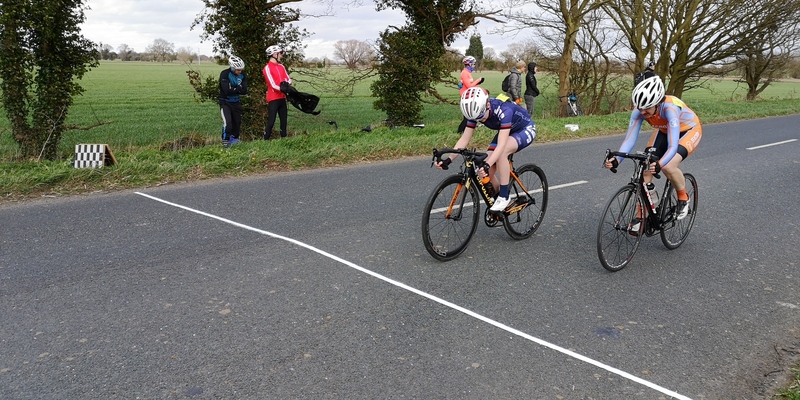 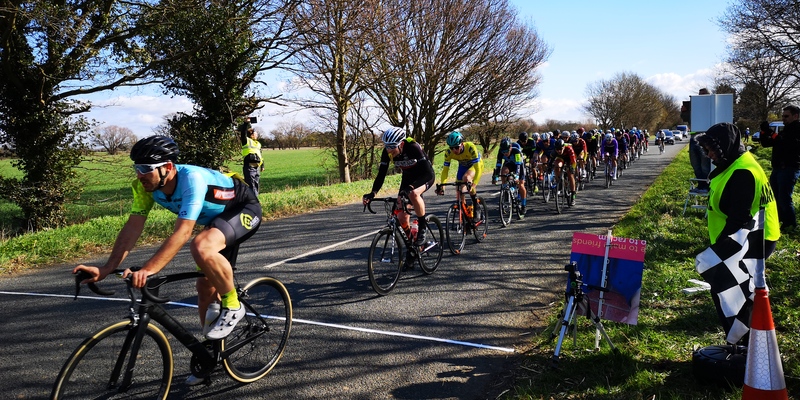 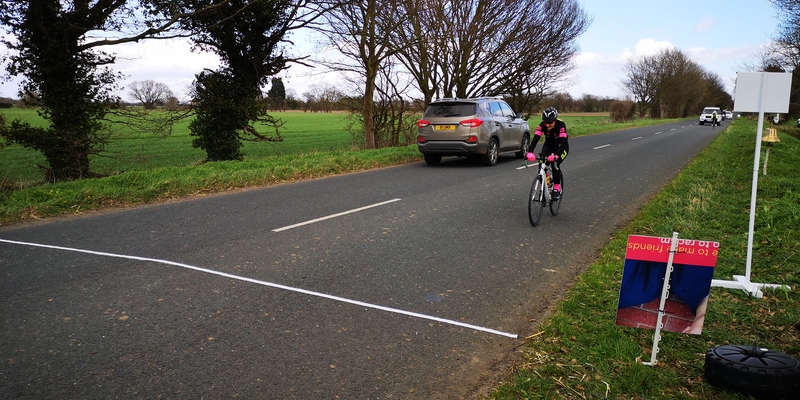 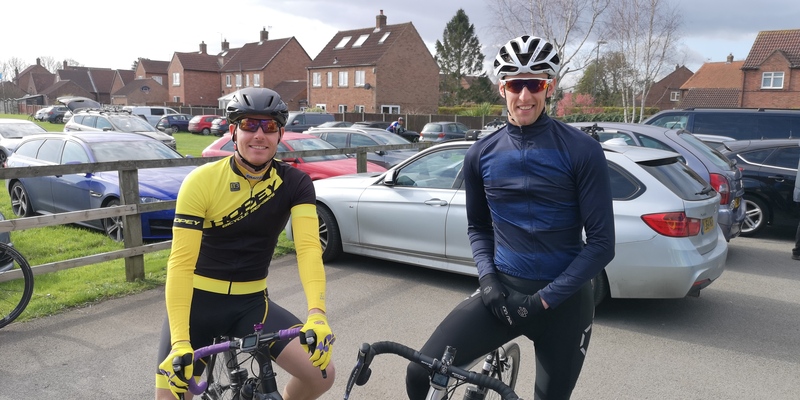 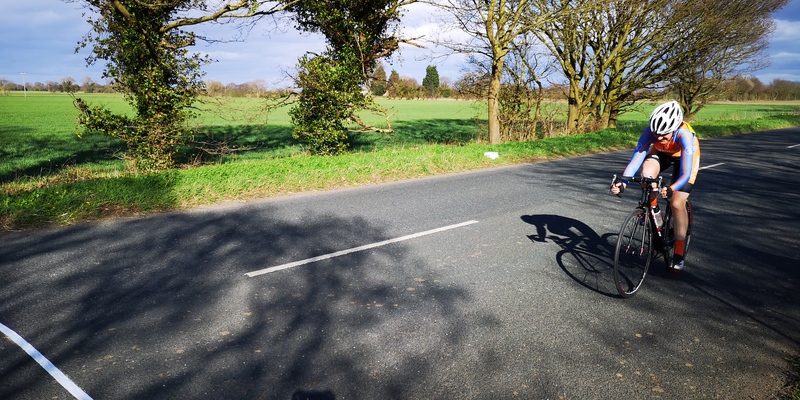 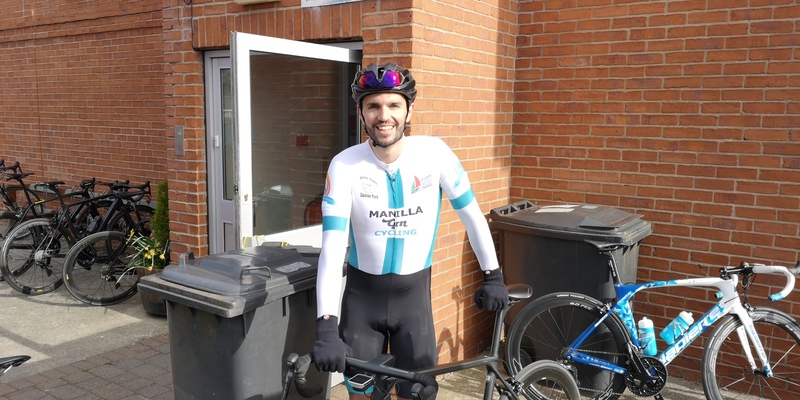 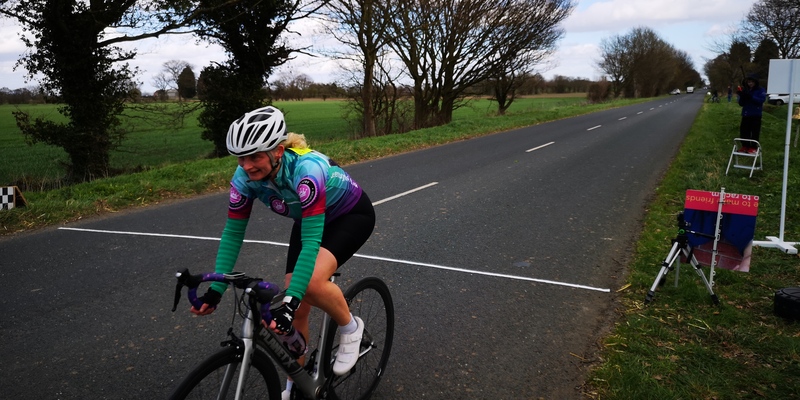 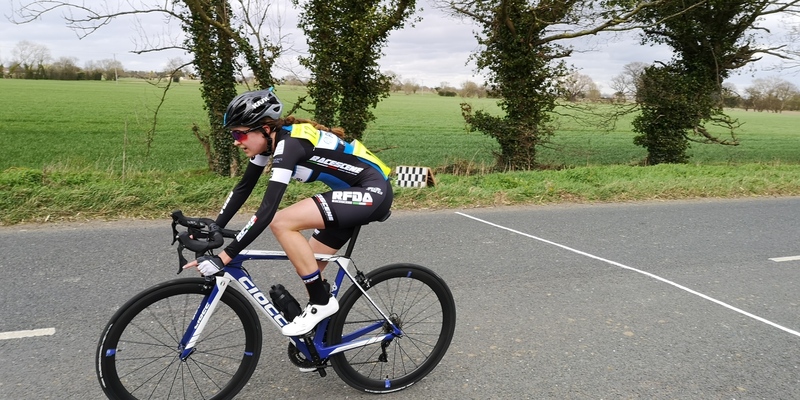 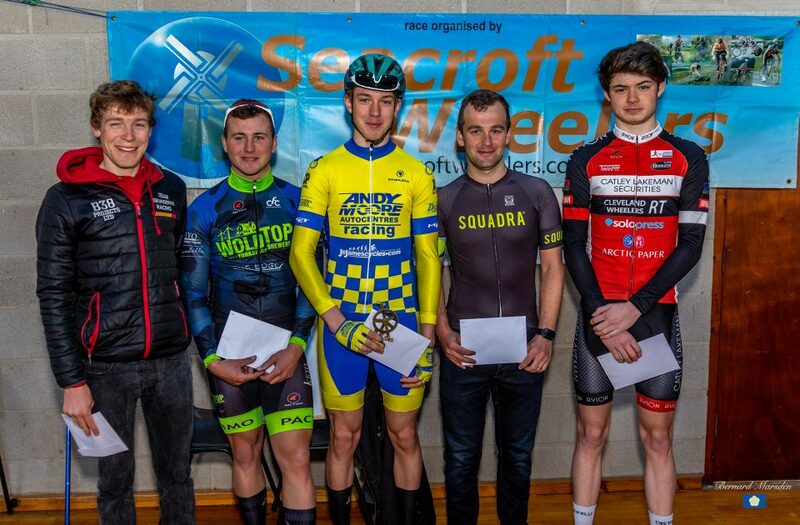 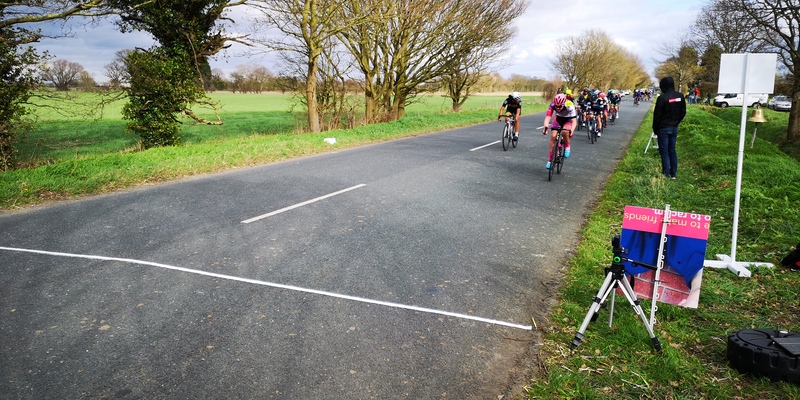 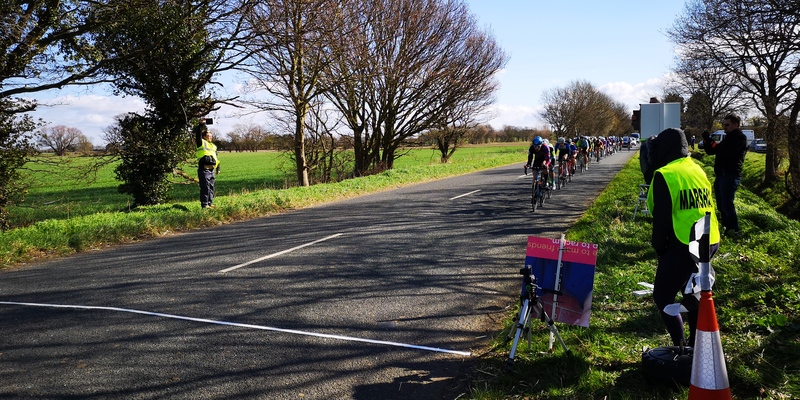 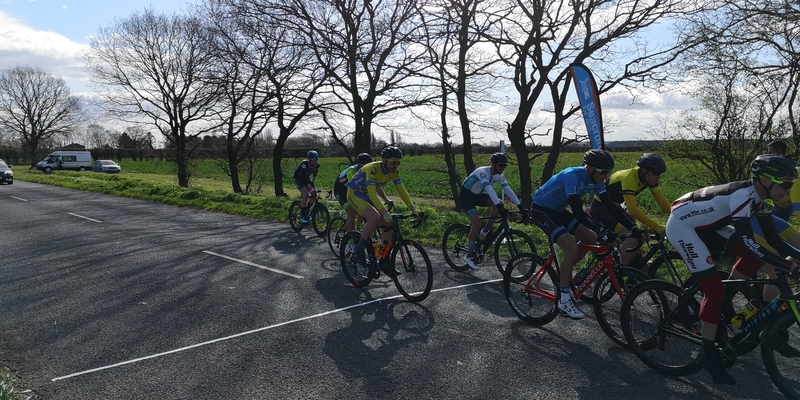 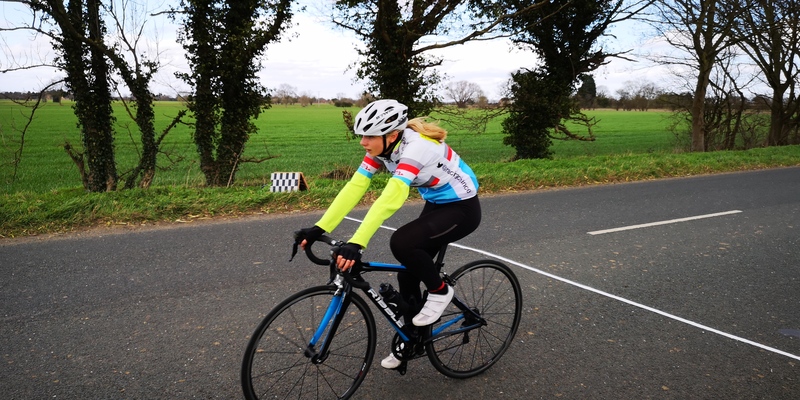 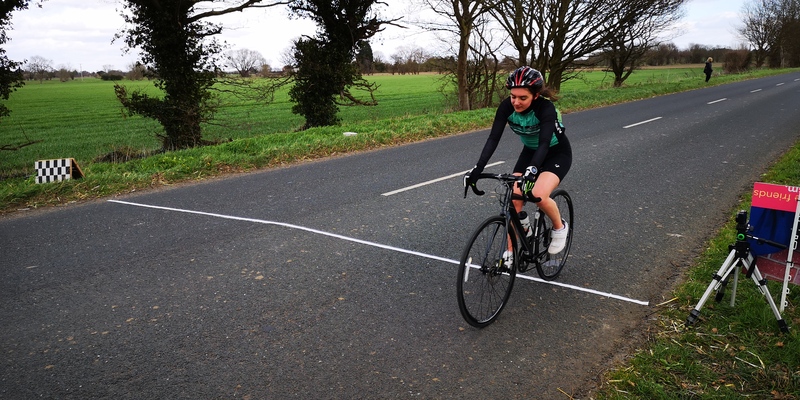 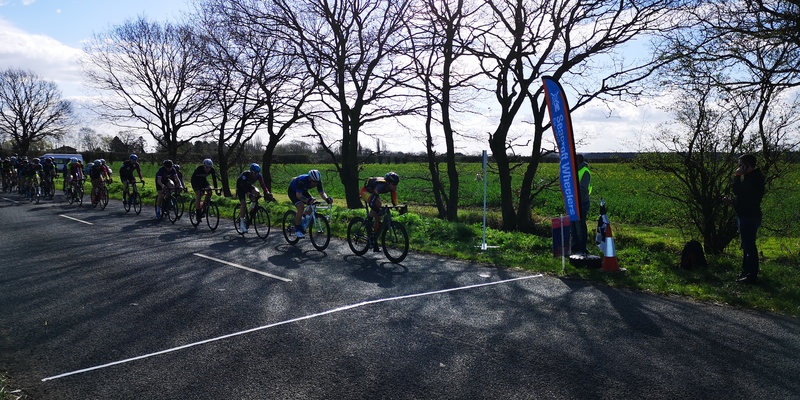 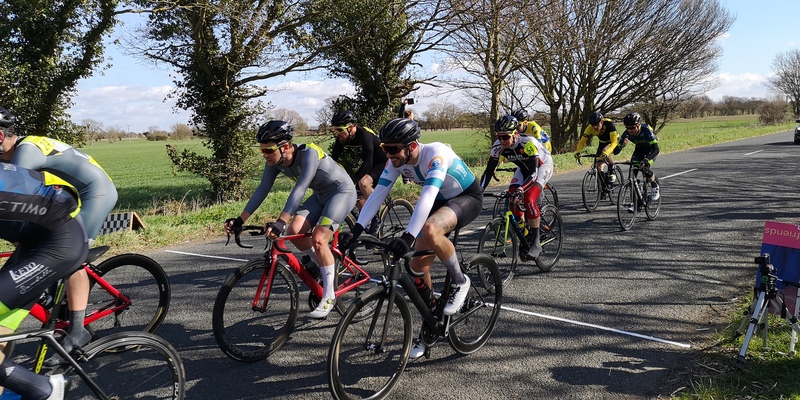 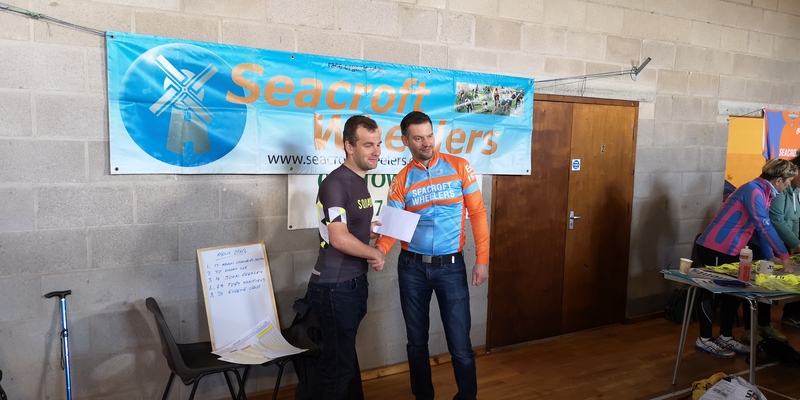 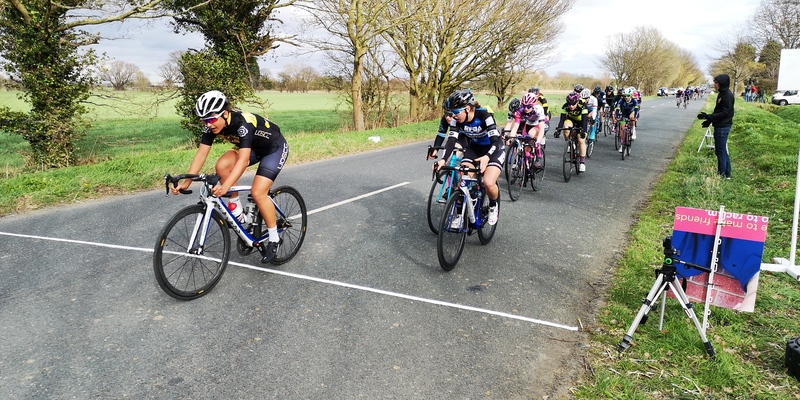 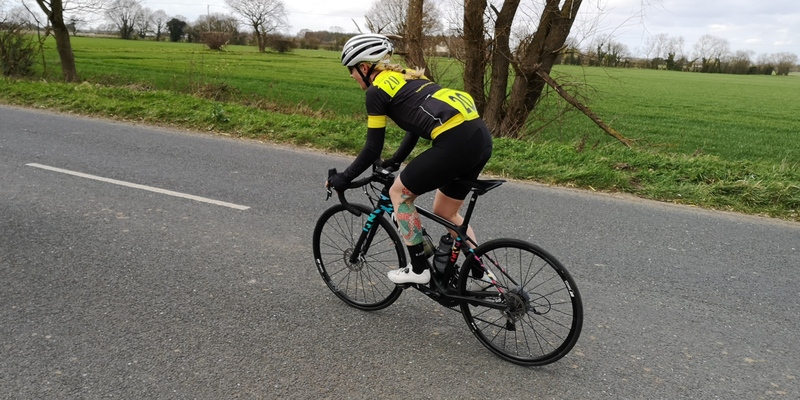 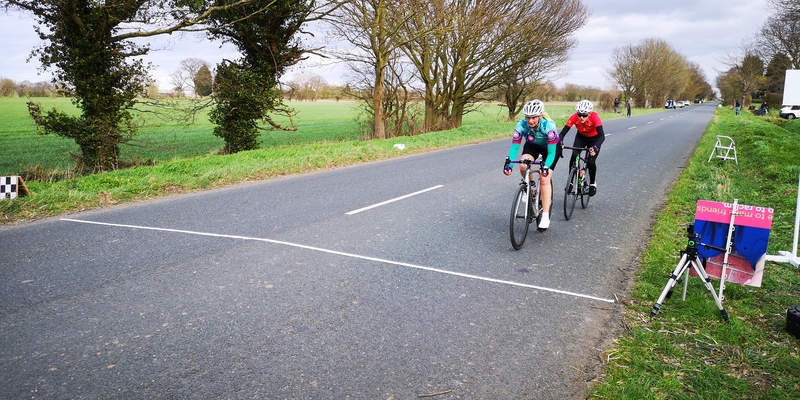 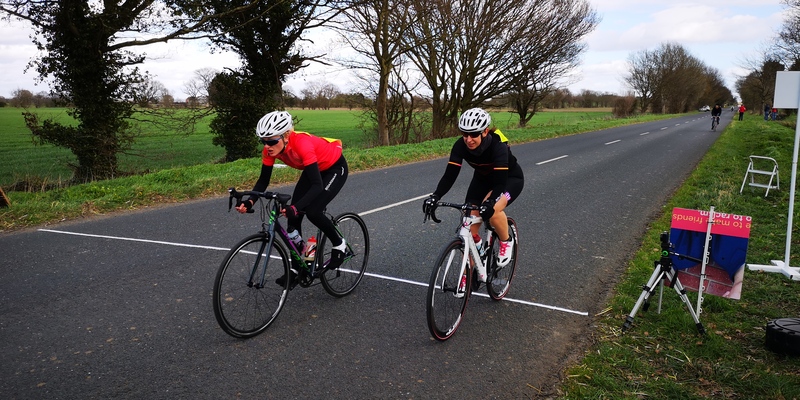 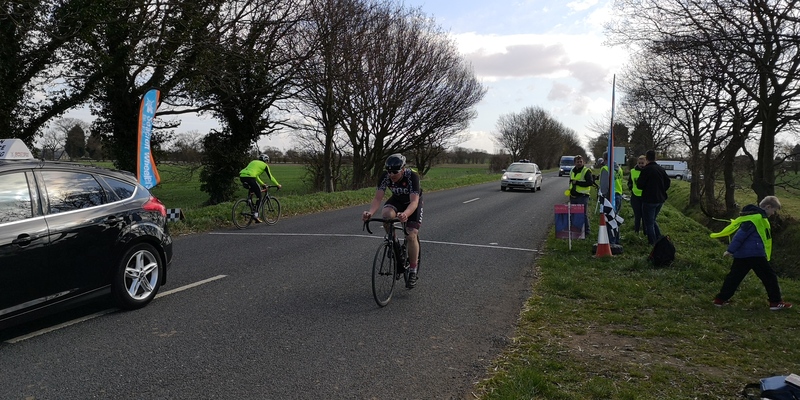 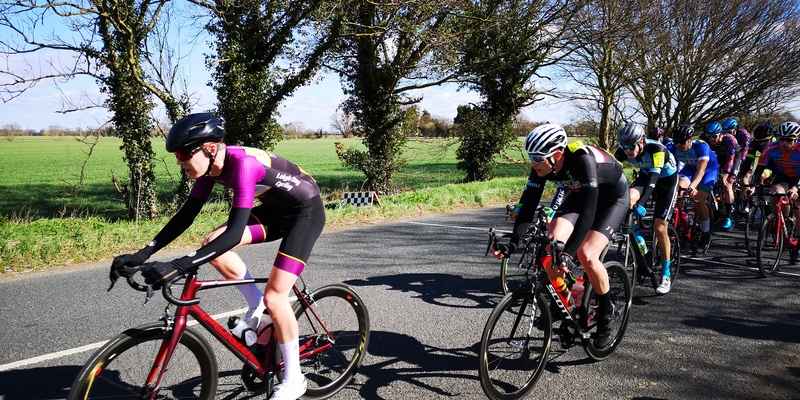 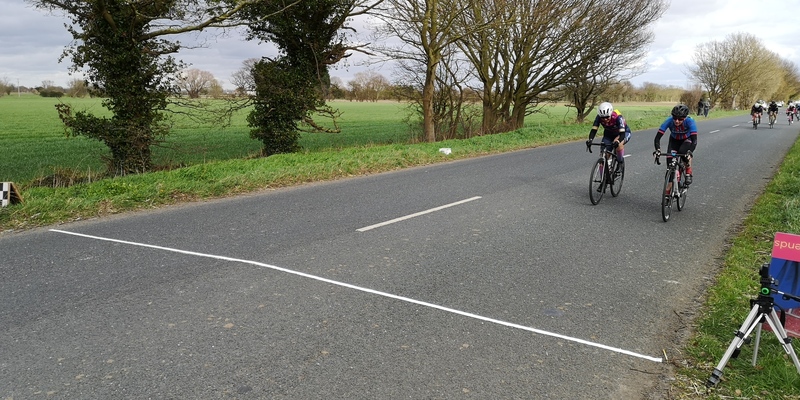 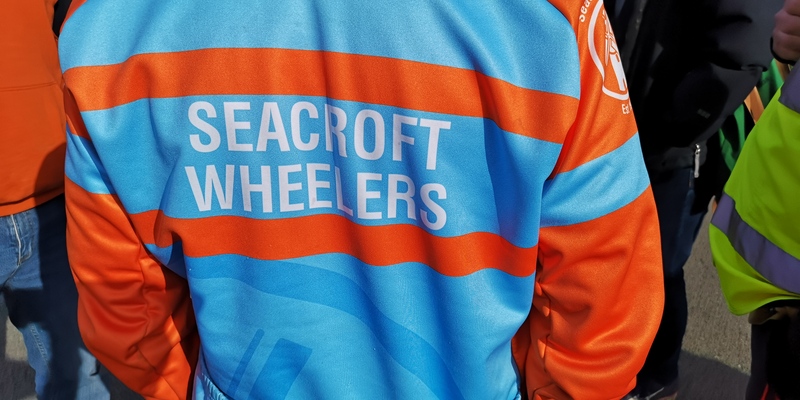 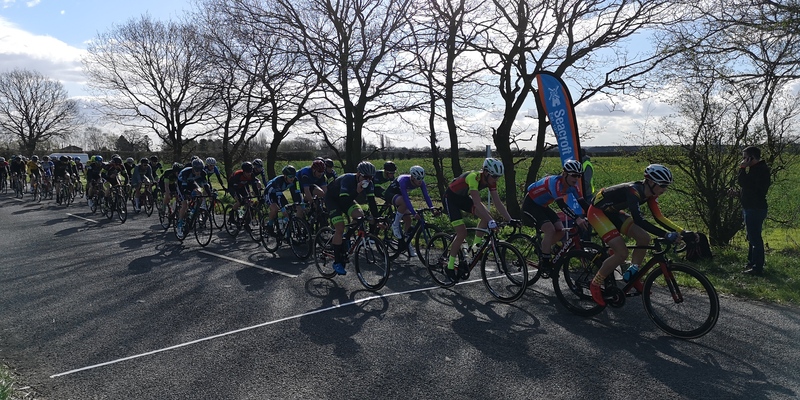 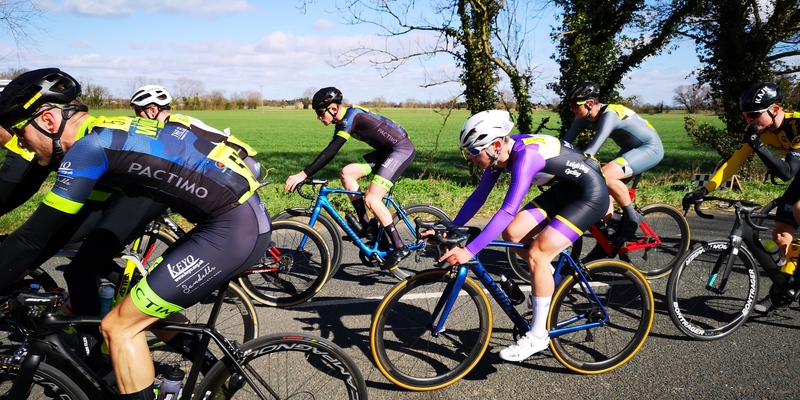 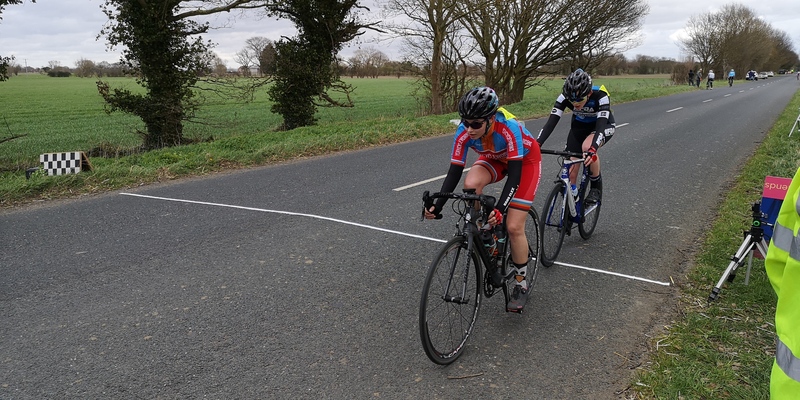 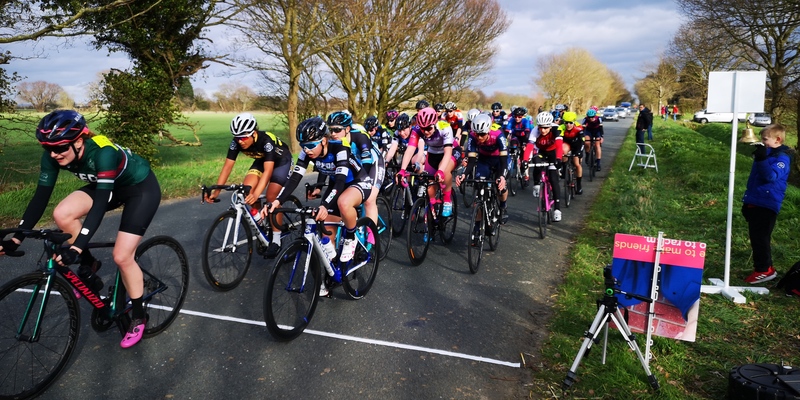 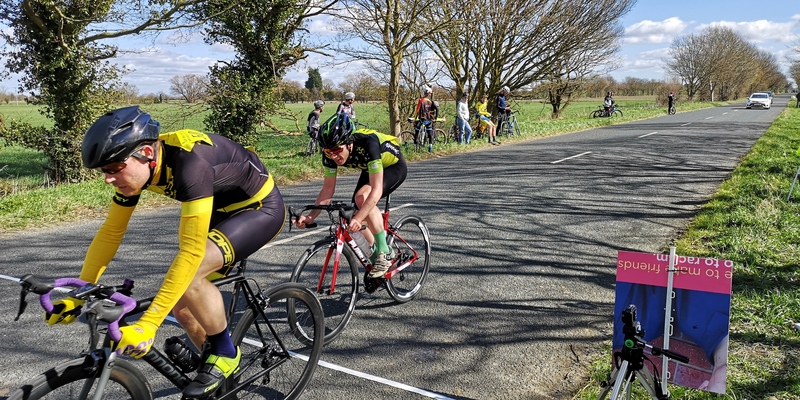 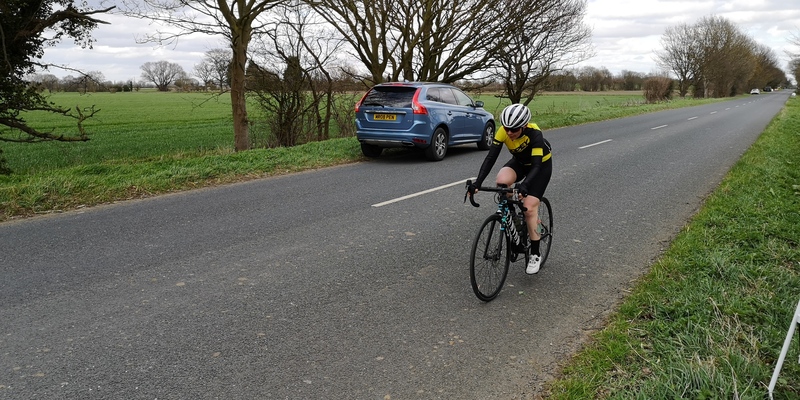 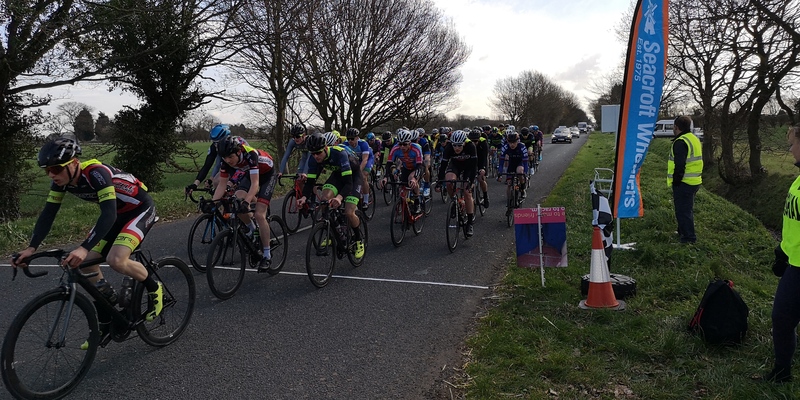 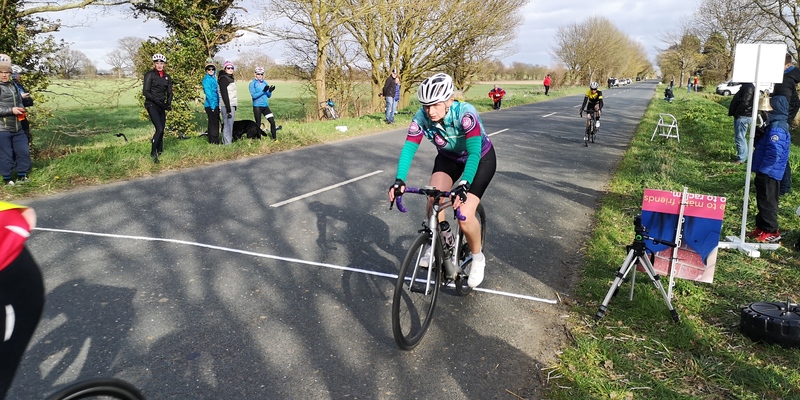 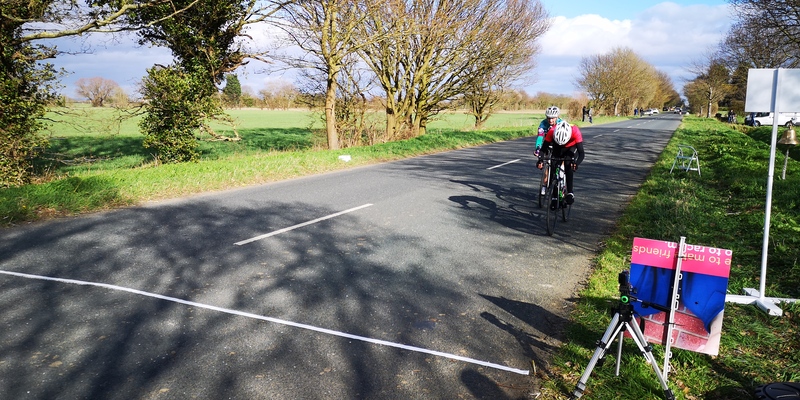 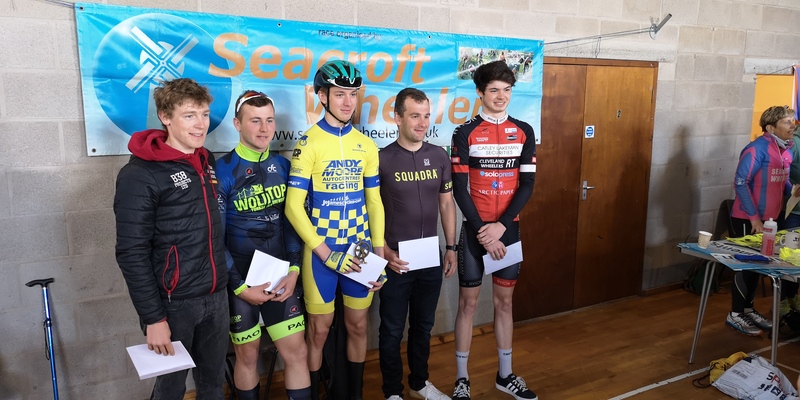 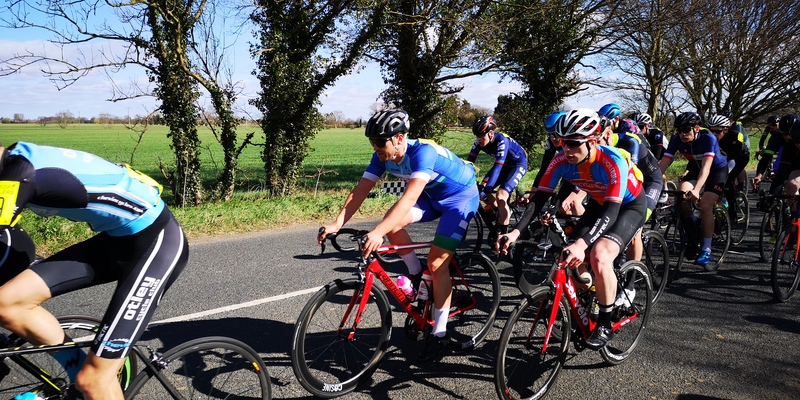 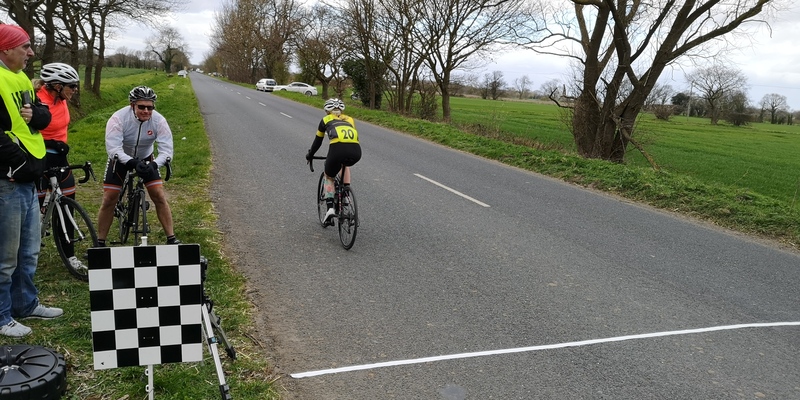 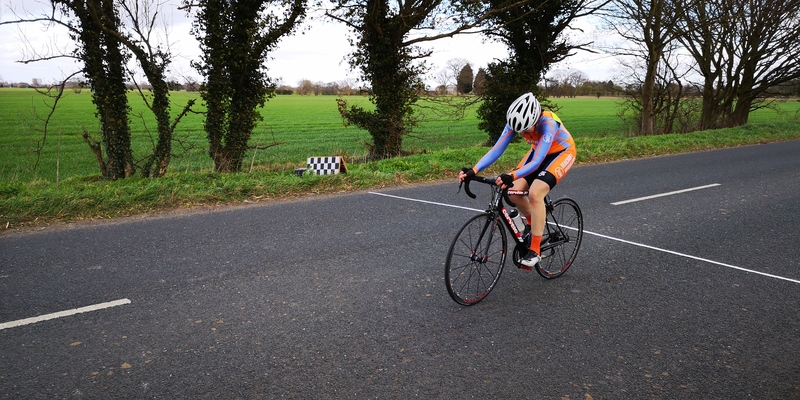 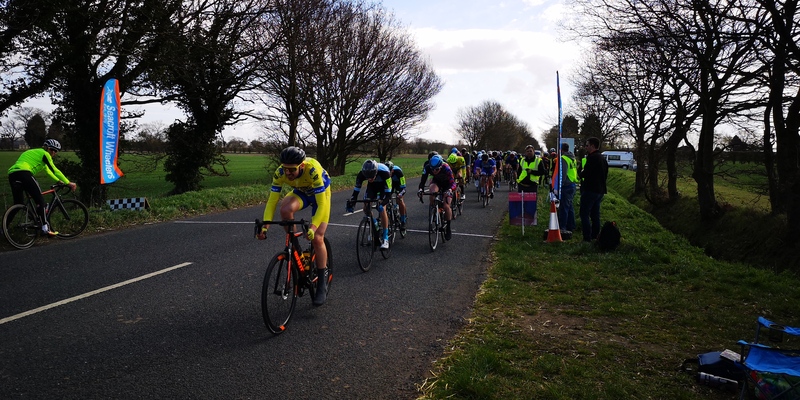 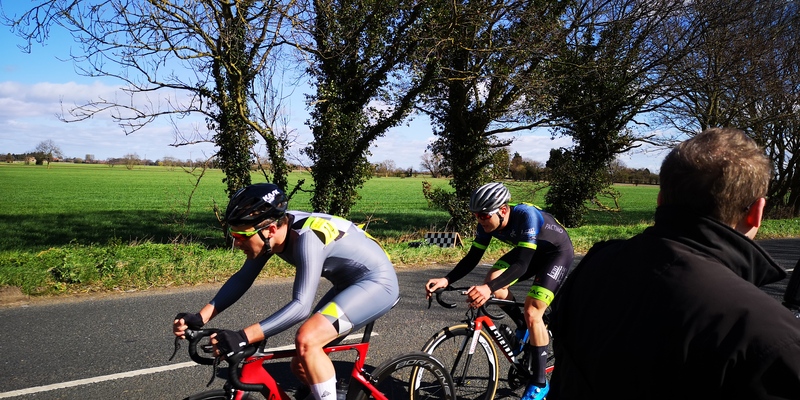 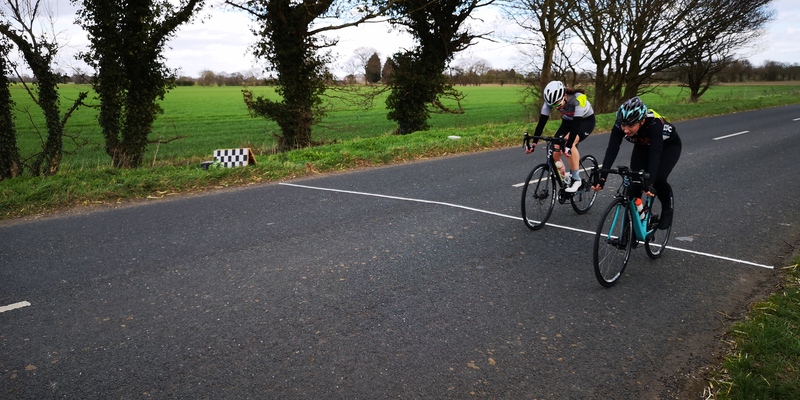 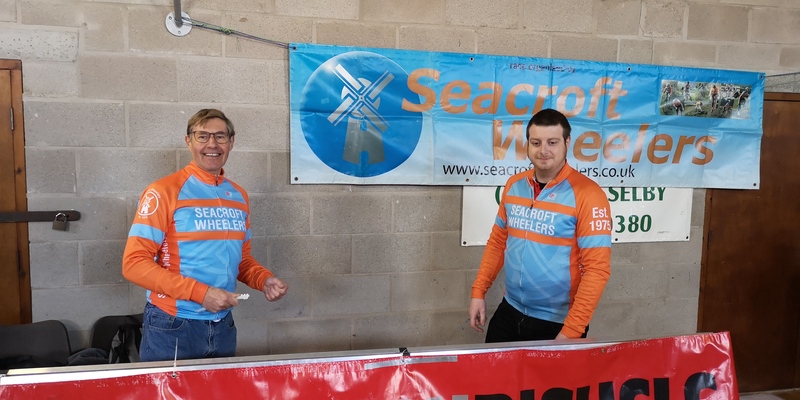 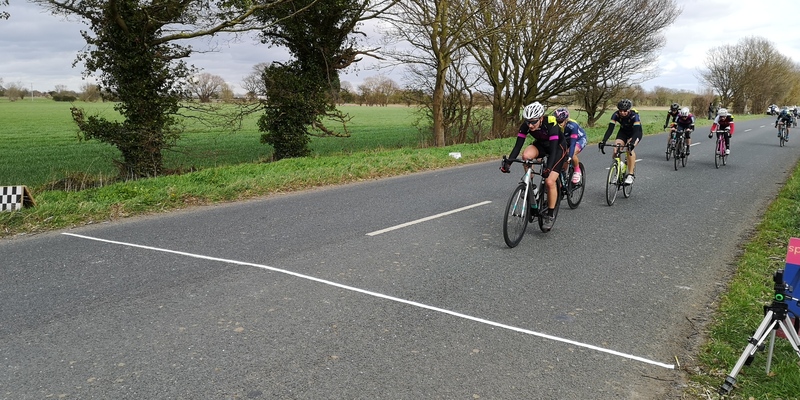 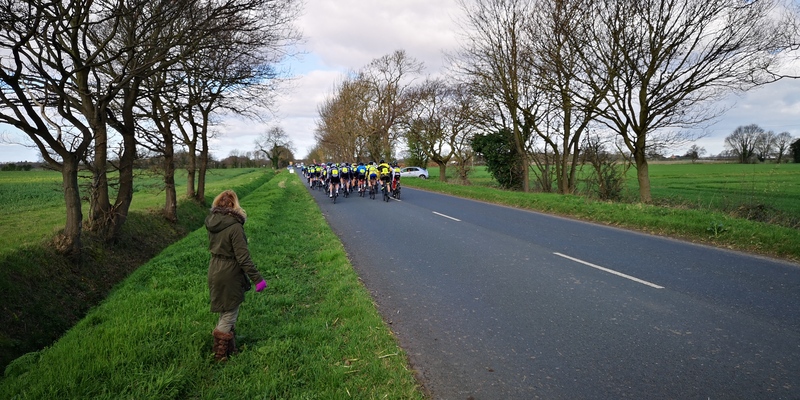 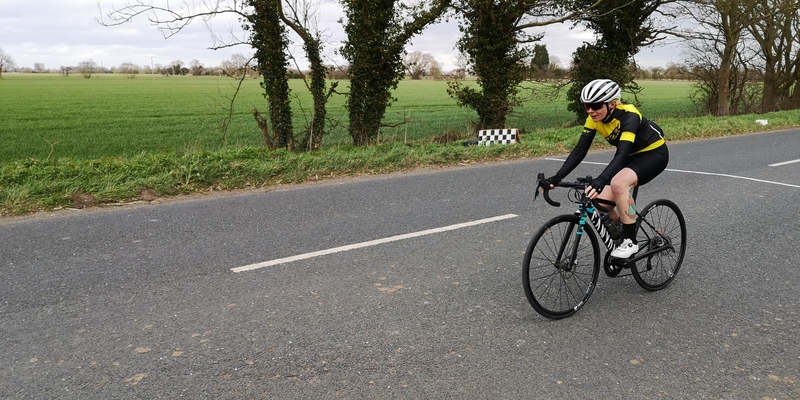 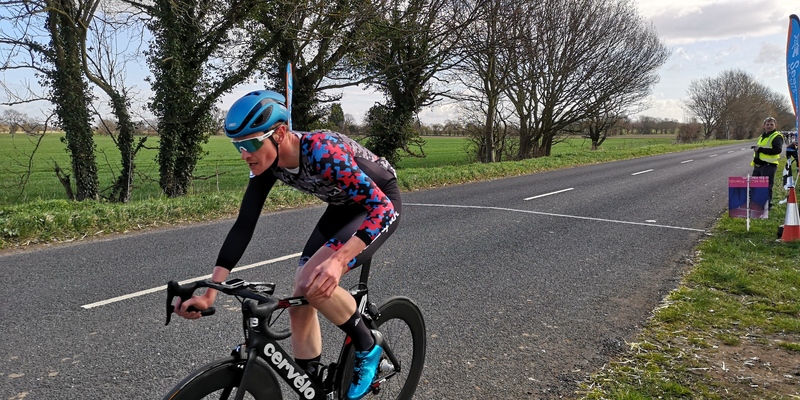 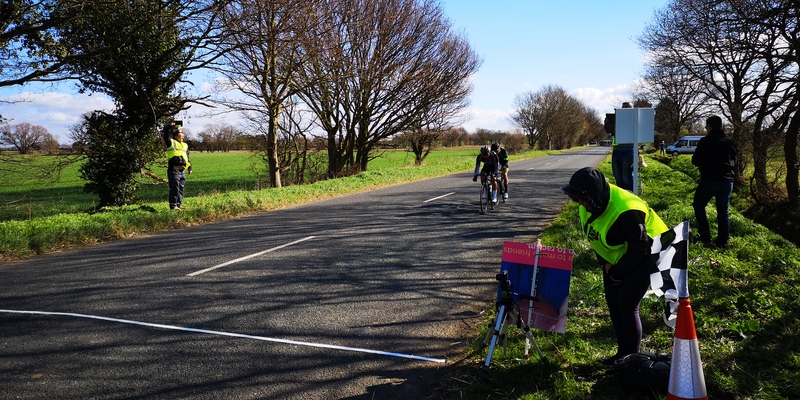 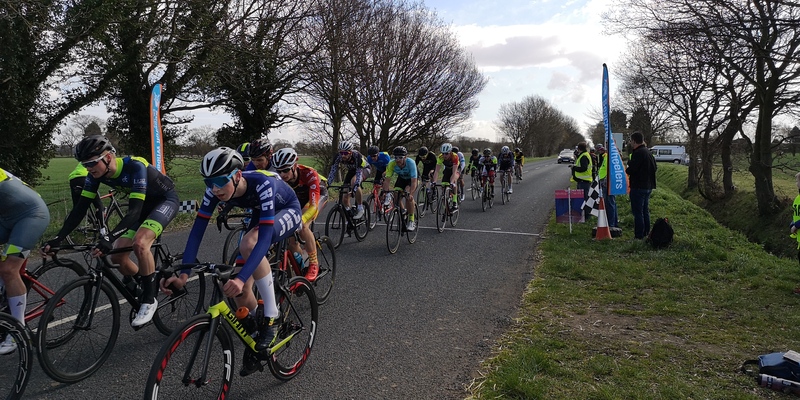 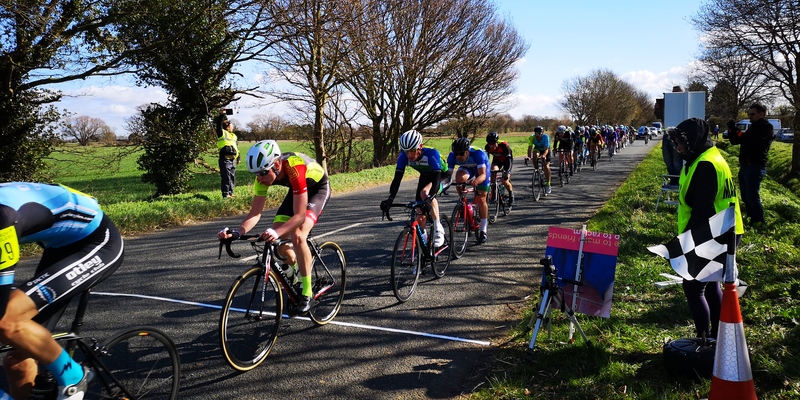 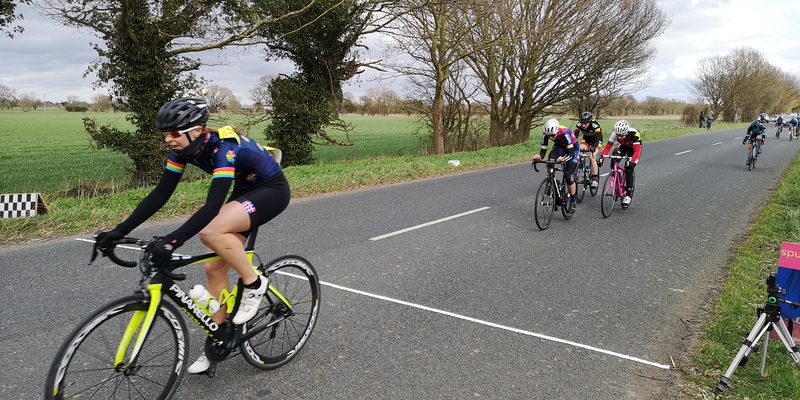 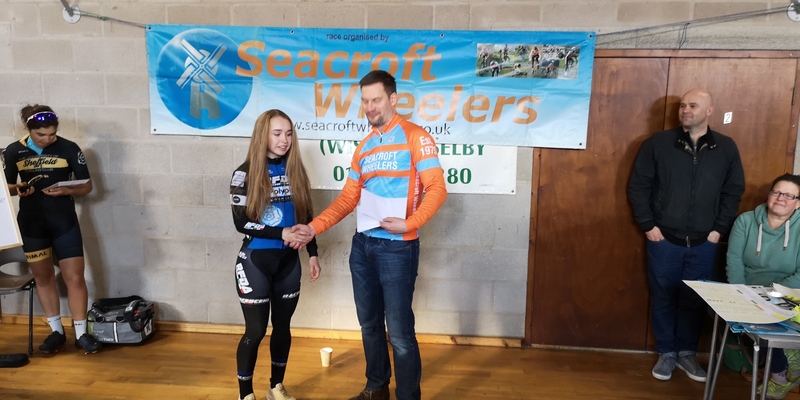 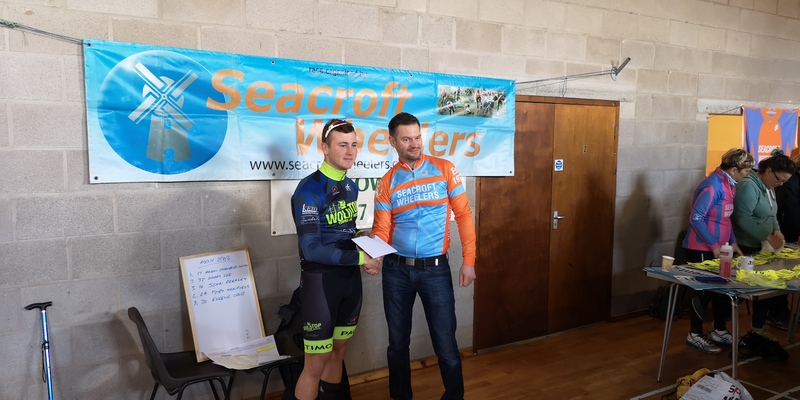 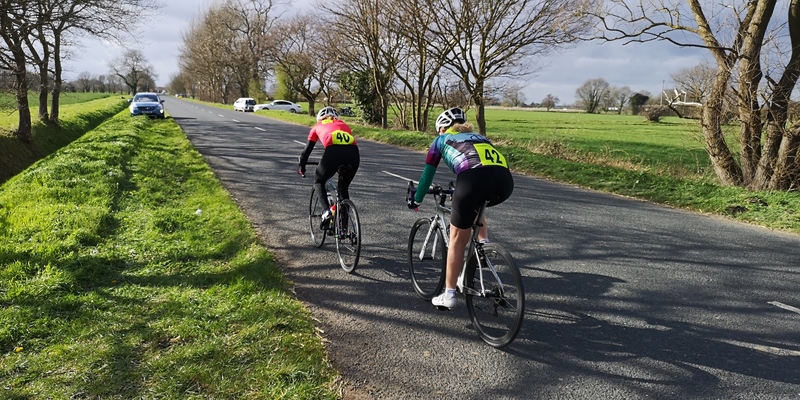 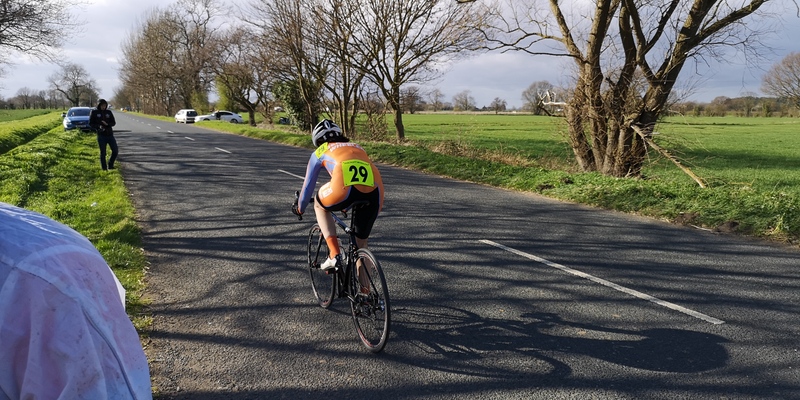 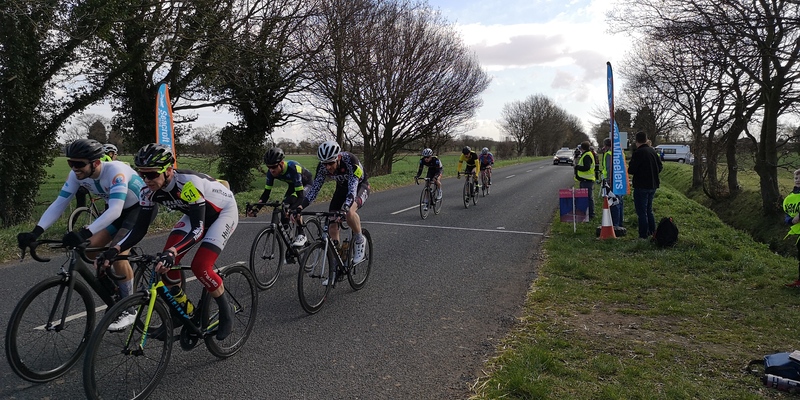 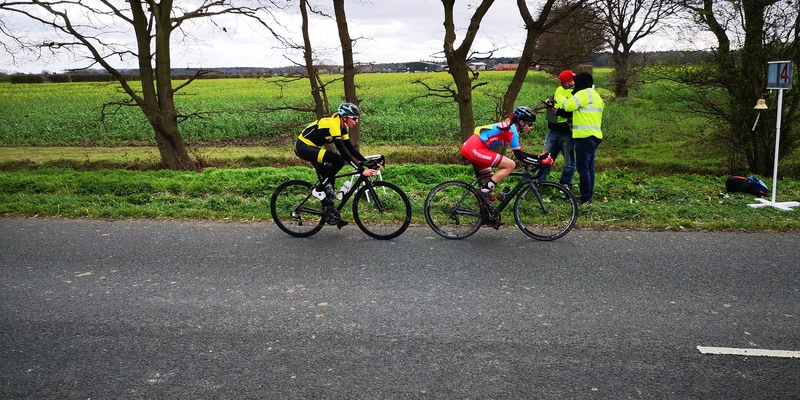 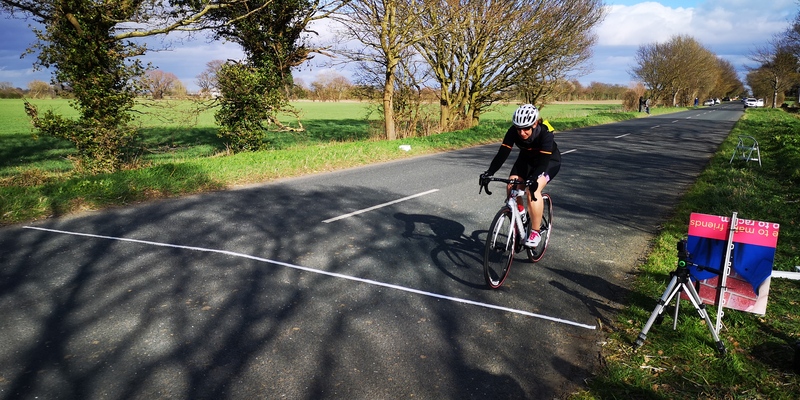 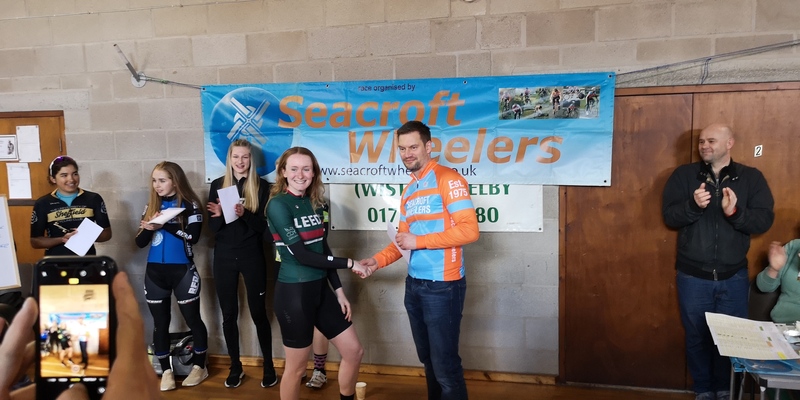 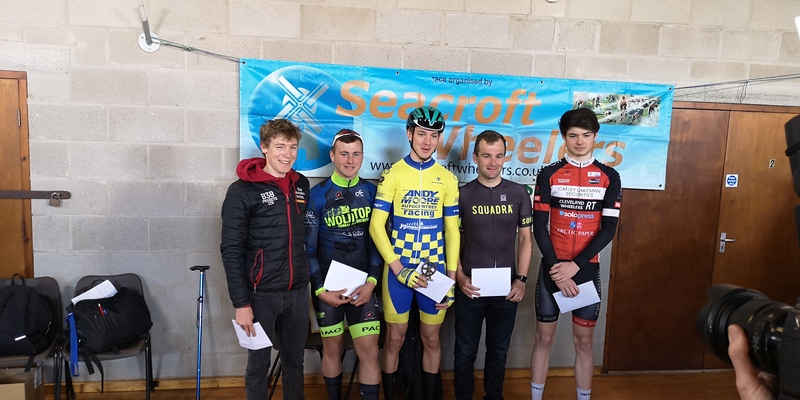 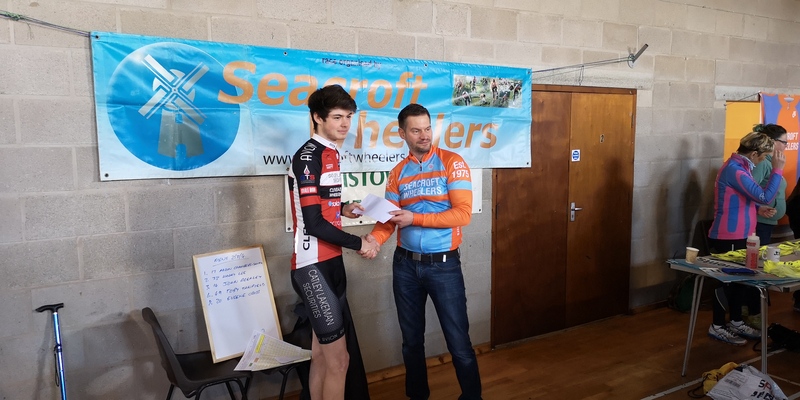 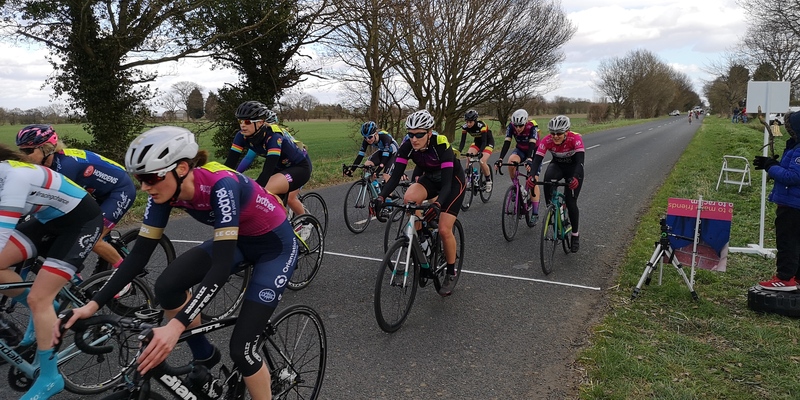 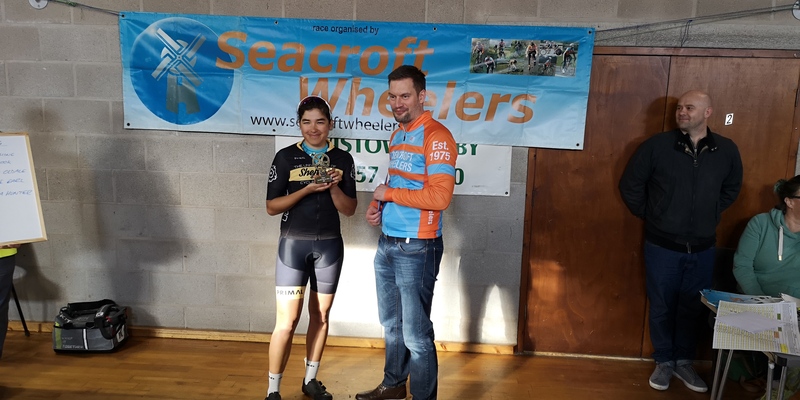 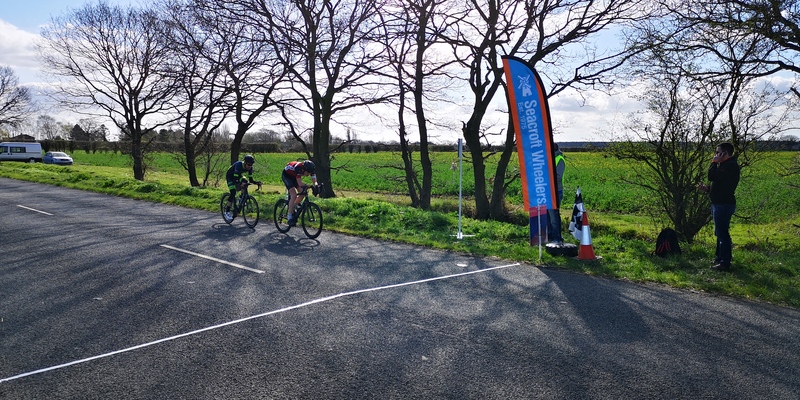 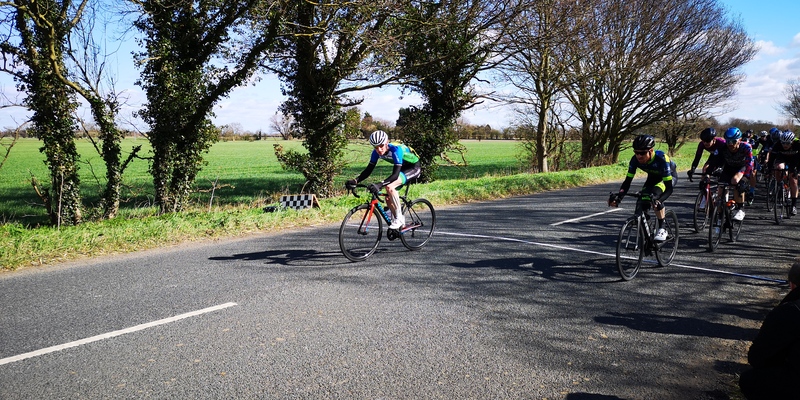 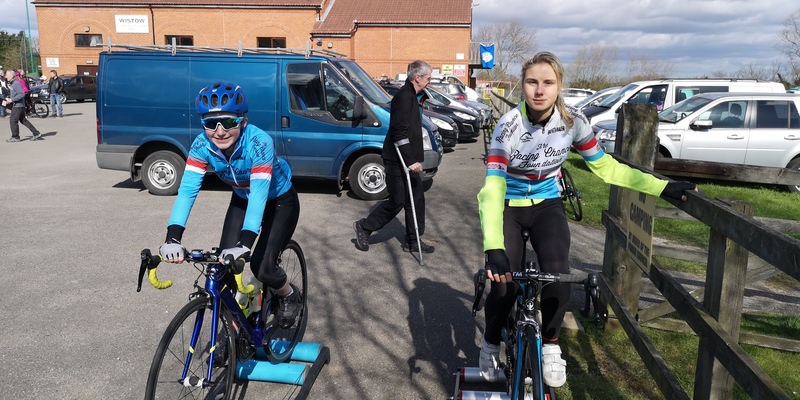 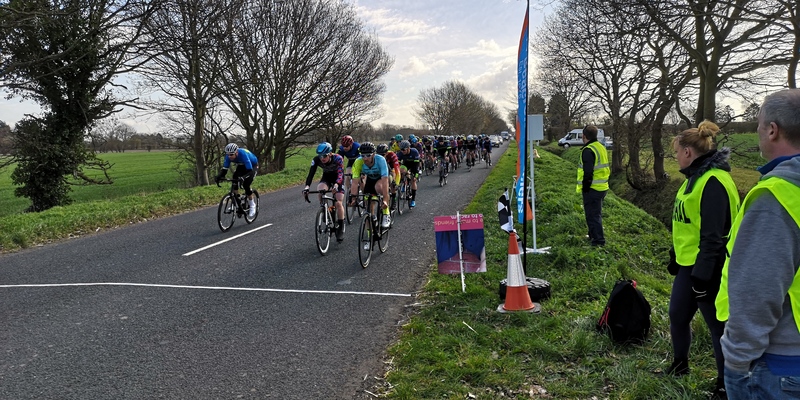 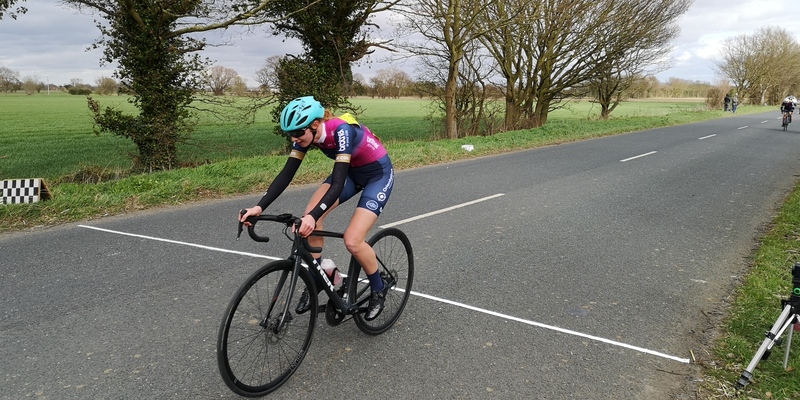 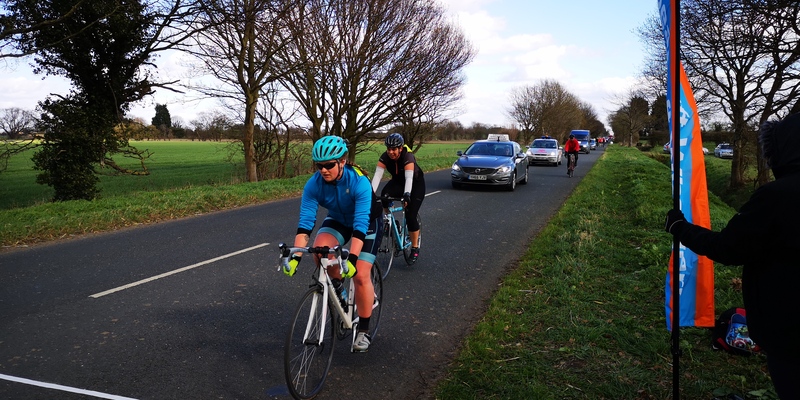 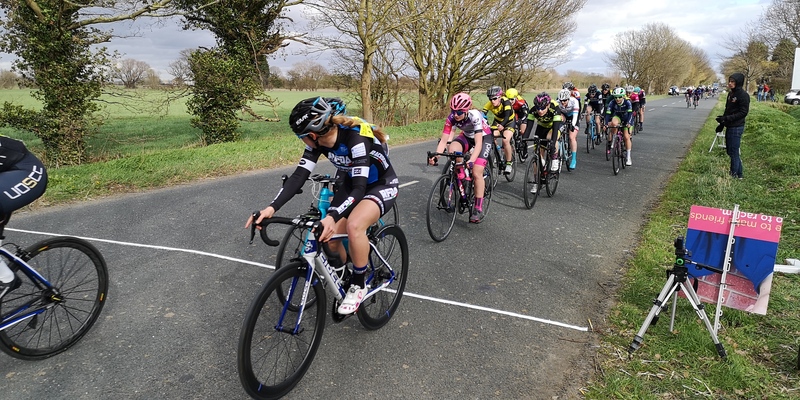 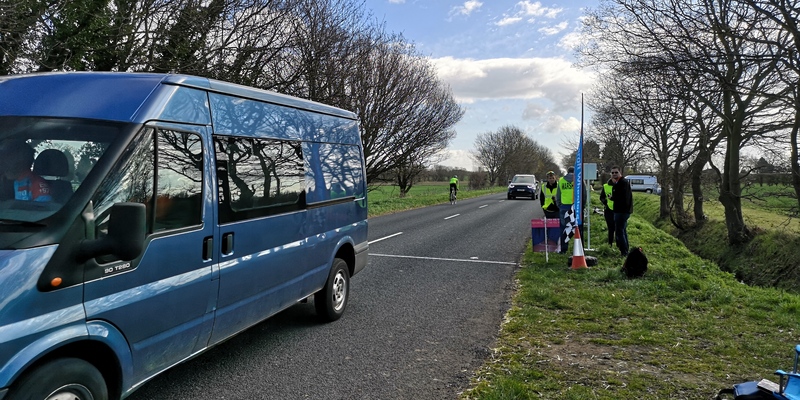 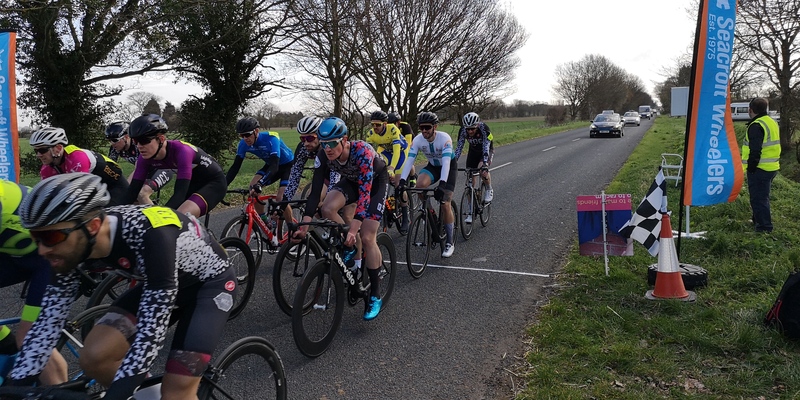 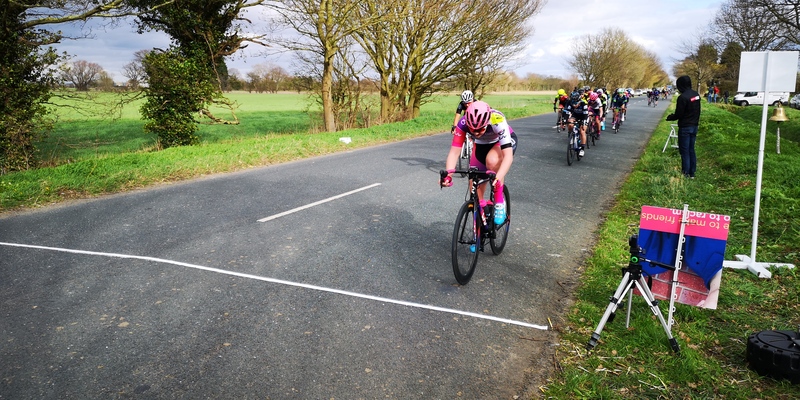 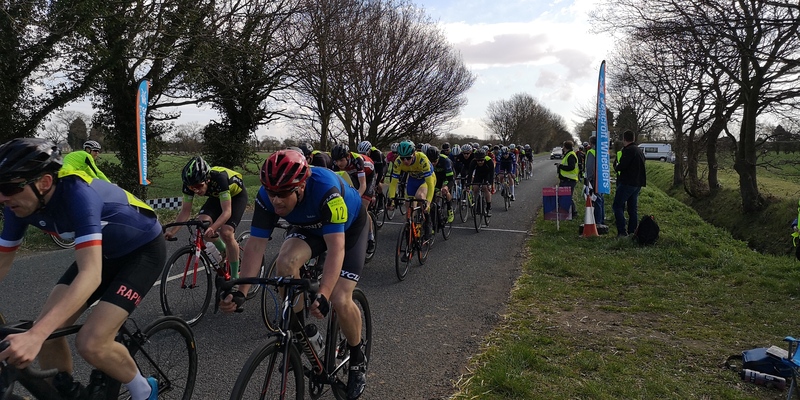 Another fantastic day of competition for the Seacroft Wheelers Spring Road Races that took place on the 24th March this year. 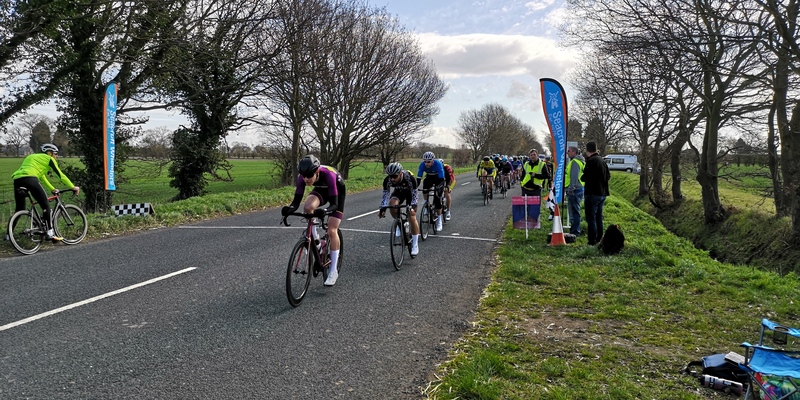 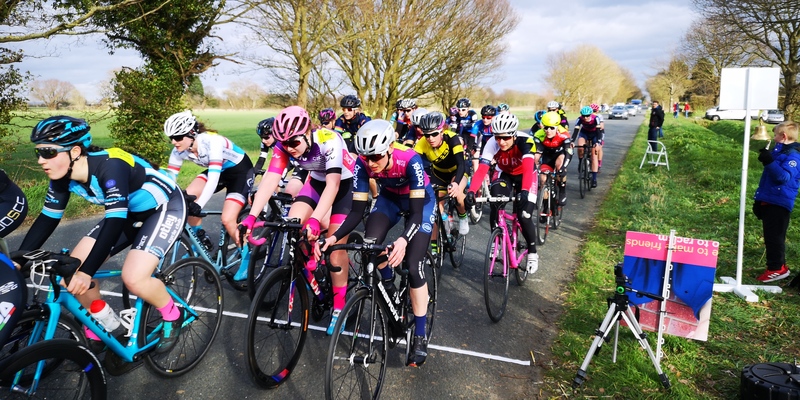 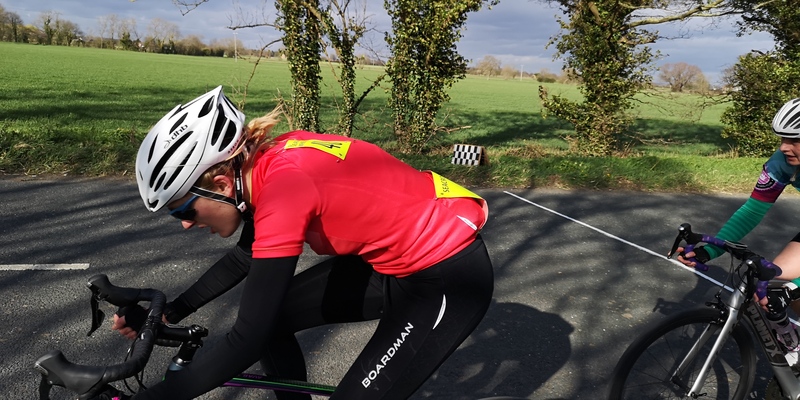 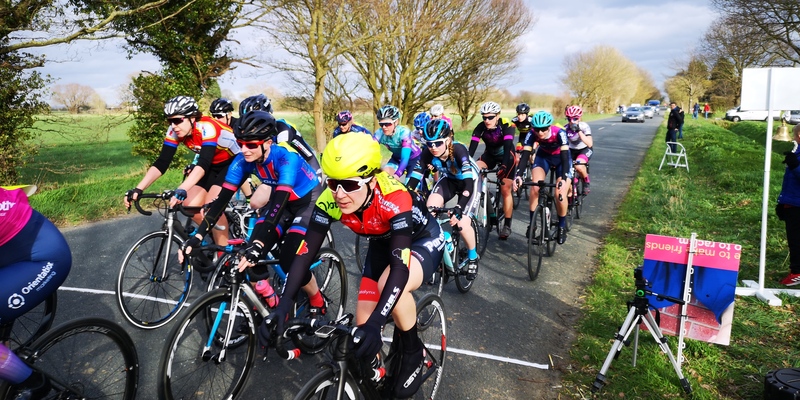 An exciting twist to the format with the regular mens cat 2/3/4 race in the morning and a womens cat 3/4 in the afternoon, a first for the club in modern times ! 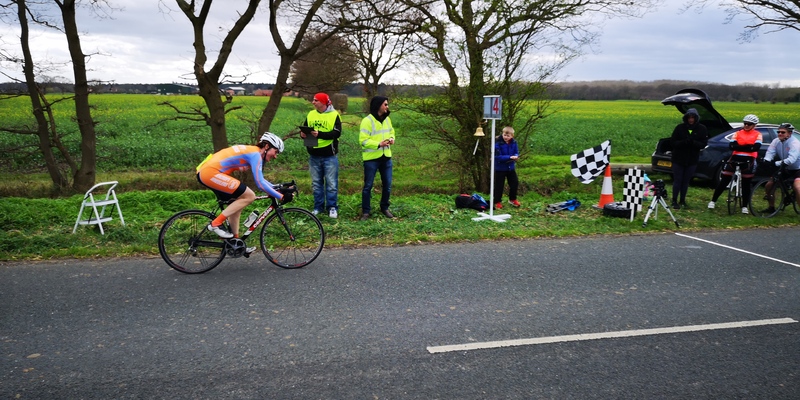 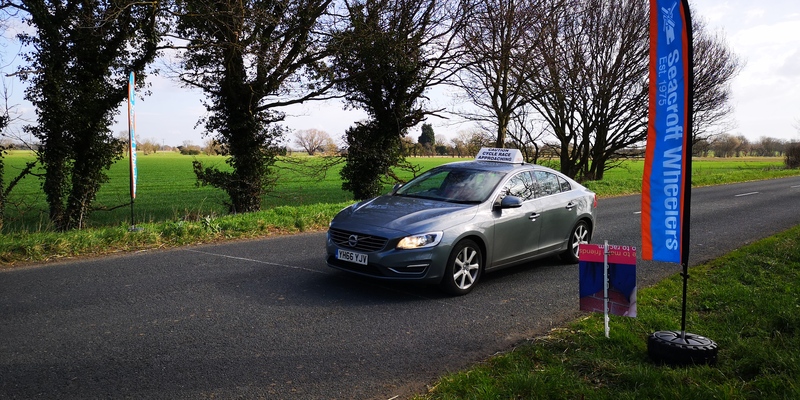 Read down for the report, full results, pictures and more…. 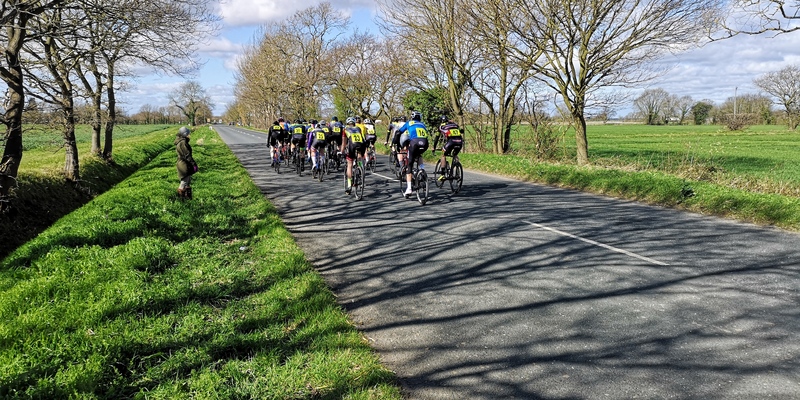 A full field of 60 men assembled for the 59 mile, 11 laps of the familiar Bishopwood course. 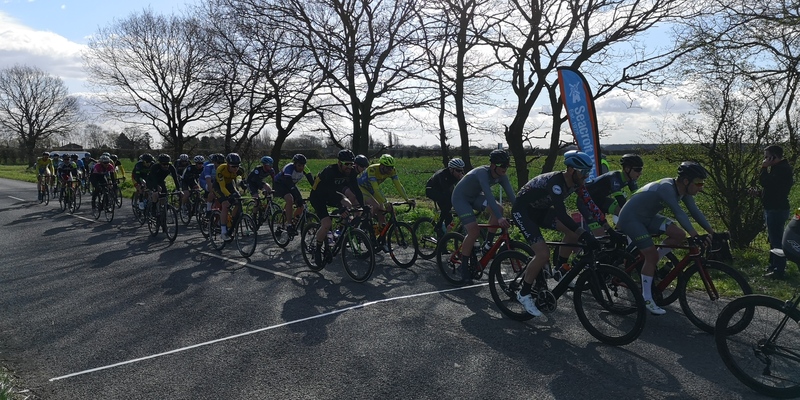 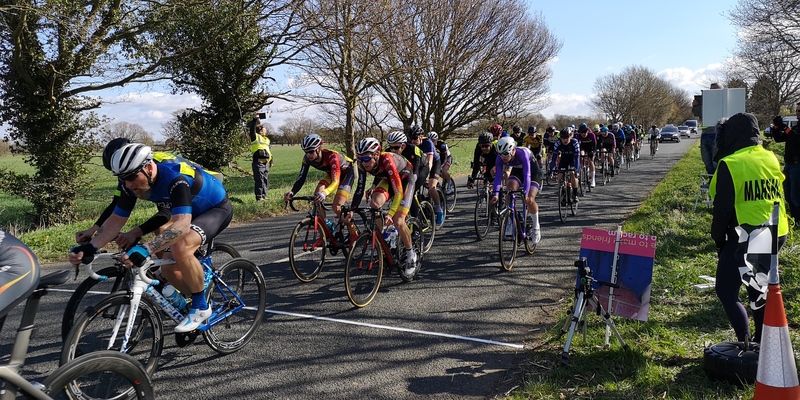 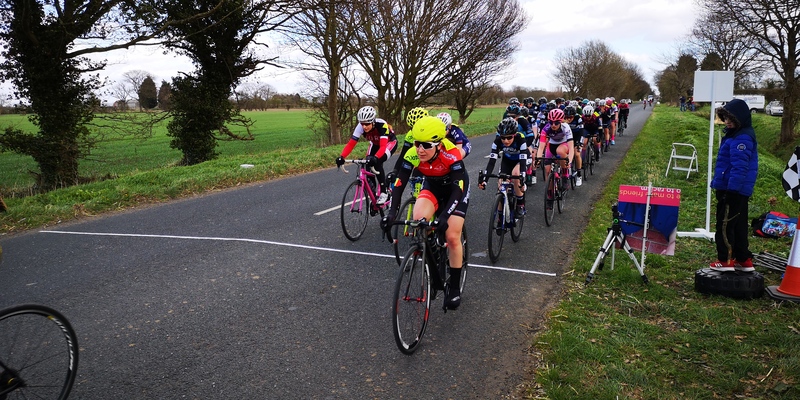 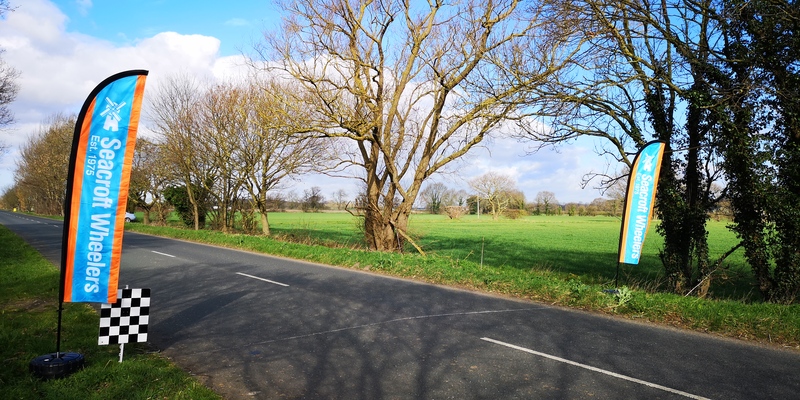 Interesting weather conditions, bright Spring sun, a cool 10 degrees and punishing cross winds that moved the pack like a shoal of fish at times on the start/finish straight. 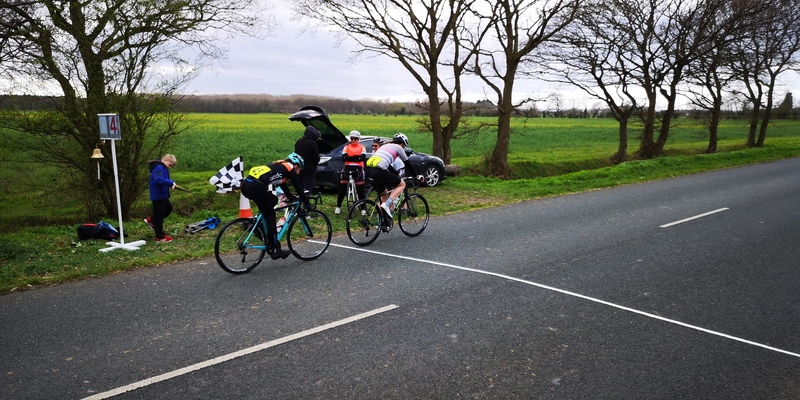 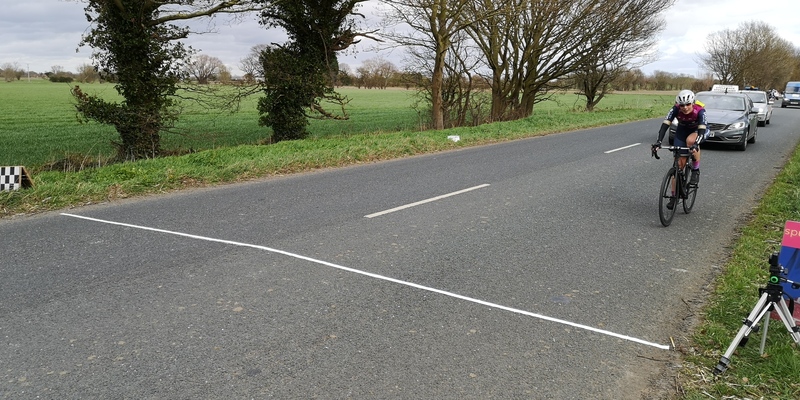 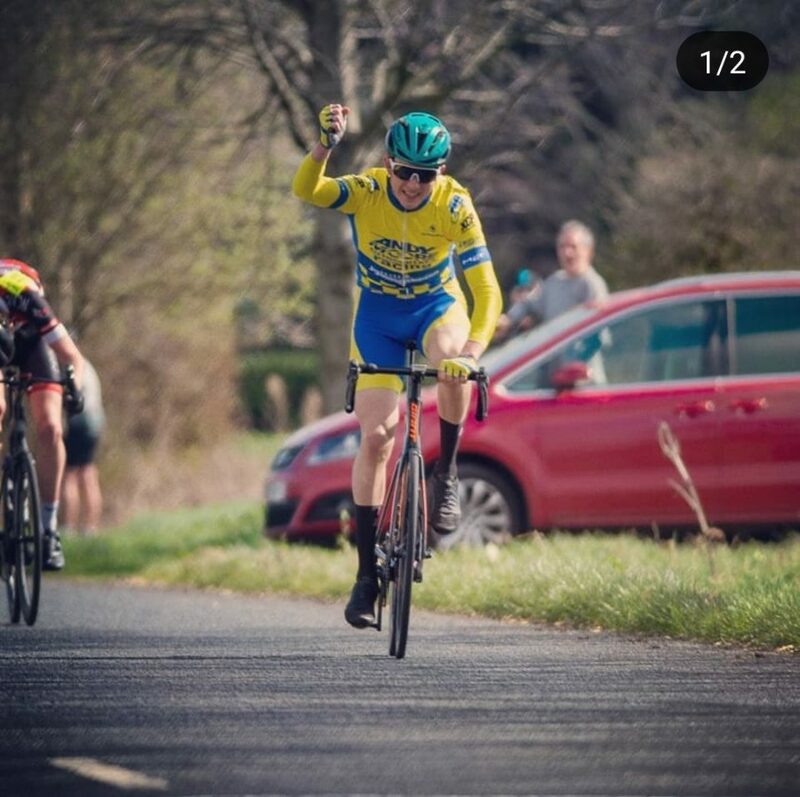 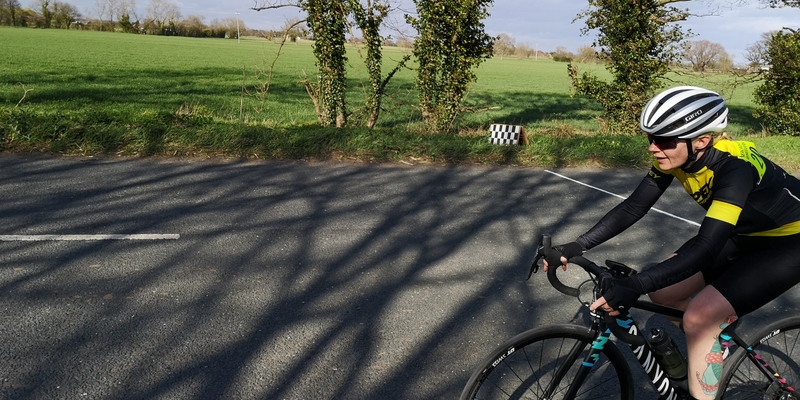 The wind, combined with several digs off the front broke up the field through out the morning and a group of 5 rounded the final corner some distance from the chasing pack and Aaron “Smiffy” Chambers-Smith pounced left in the sprint for the line to take victory by several bike lengths ! 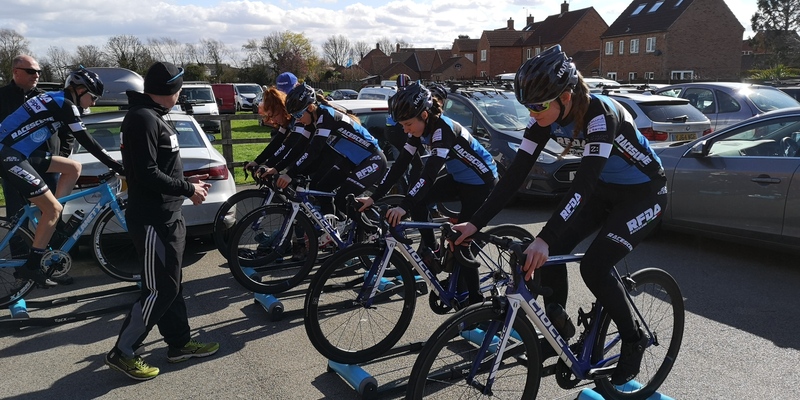 In the afternoon it was the turn of the women to take centre stage and that is exactly what 55 (5x D.N.S.) 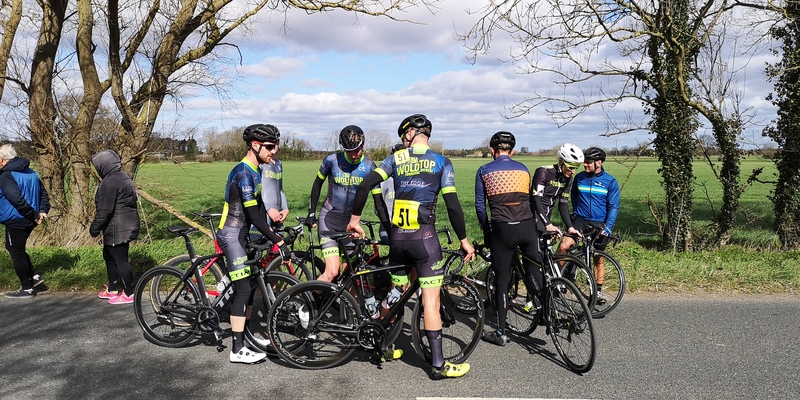 of them did to assault the 38 miles, 7 laps of the same course, with even stronger punishing cross winds that had built through the day ! 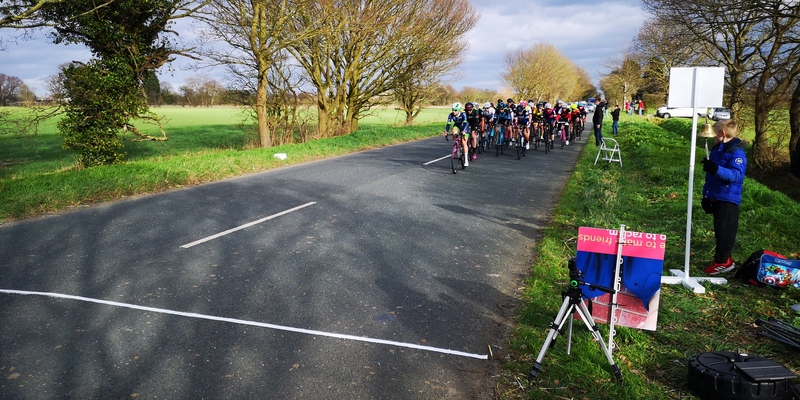 Surges in pace fragmented the field and lots of elastic bands were stretched (and some snapped) in what was for many riders their very first race. 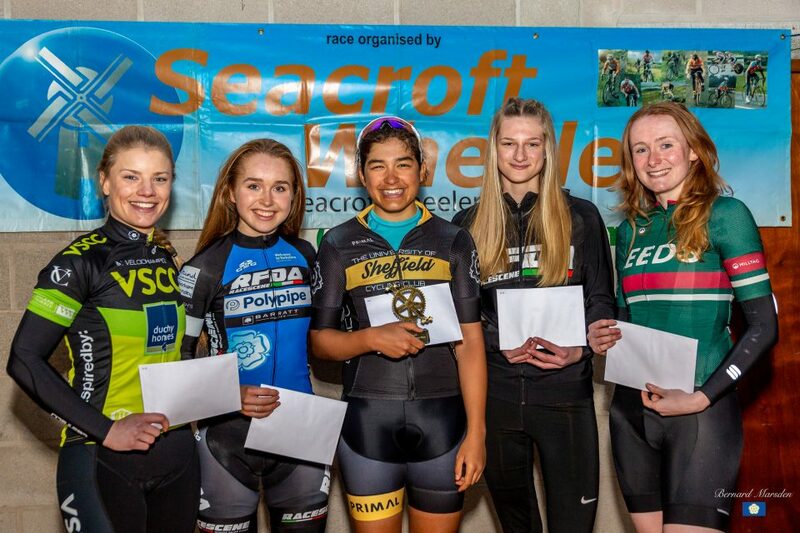 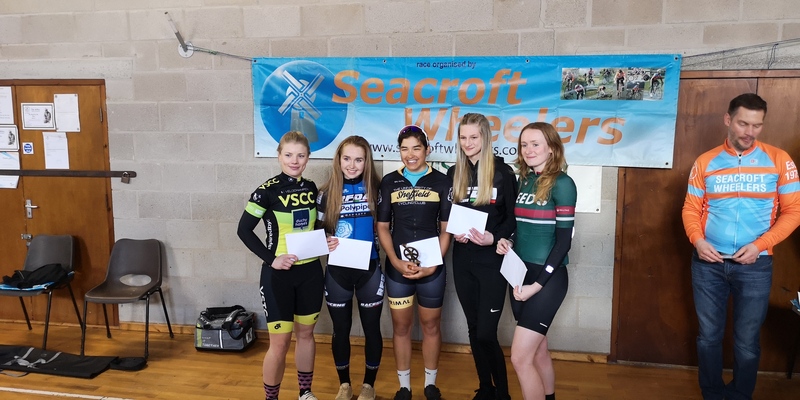 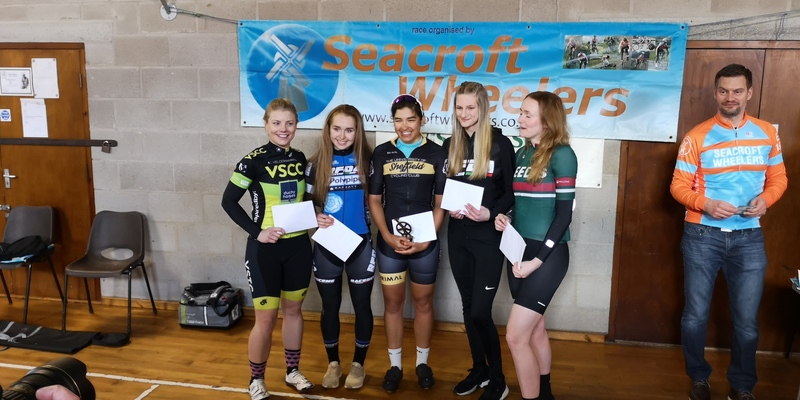 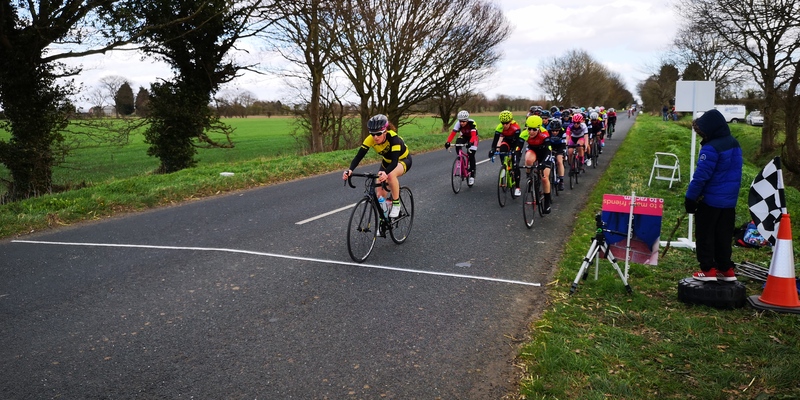 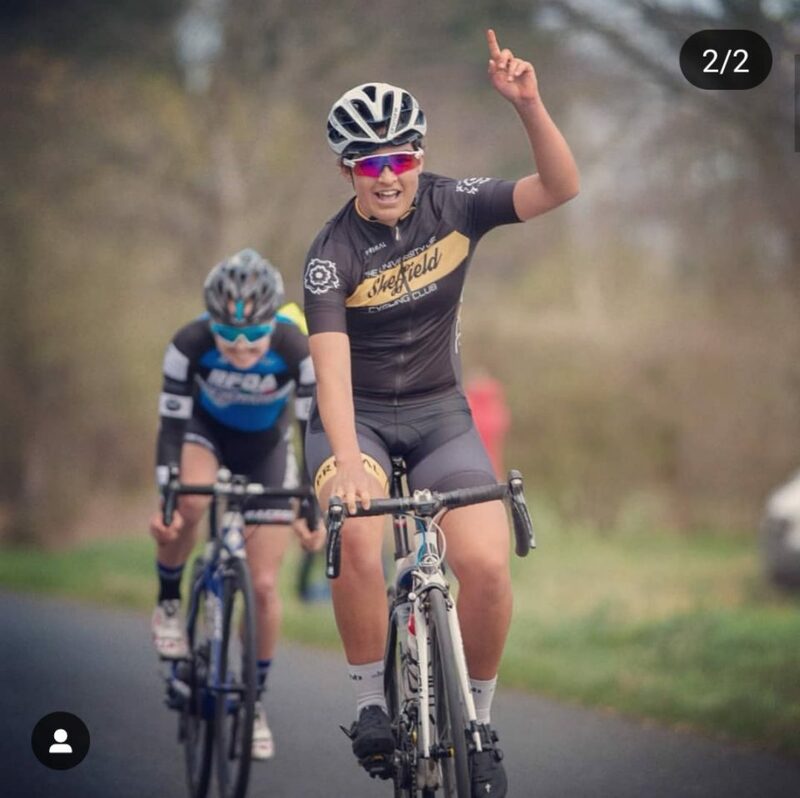 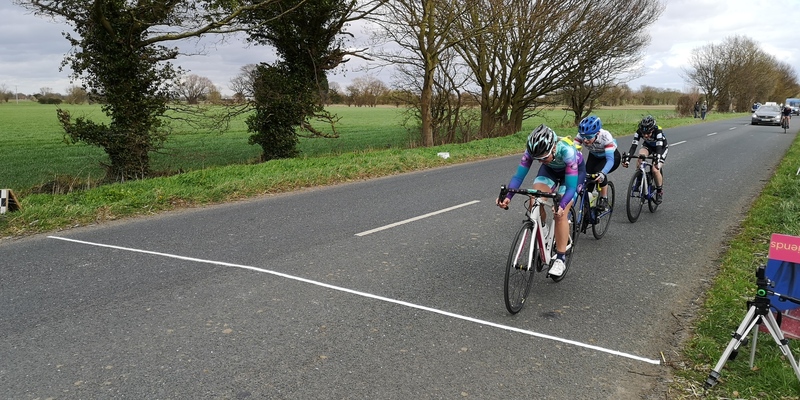 A group of around 25 came back to take the bell together and 2 attacked off the front in the final lap with Jayati Hine pipping Poppy Cooke for the win and a bike length separated the sprint for 3rd, 4th and 5th ! 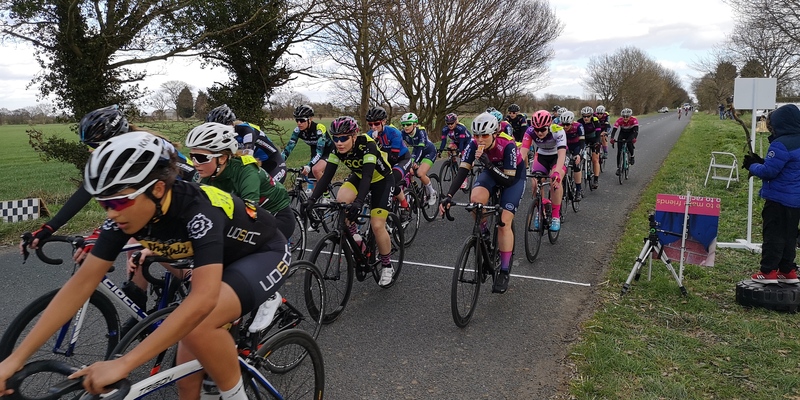 55 women racers lining up for the off ! 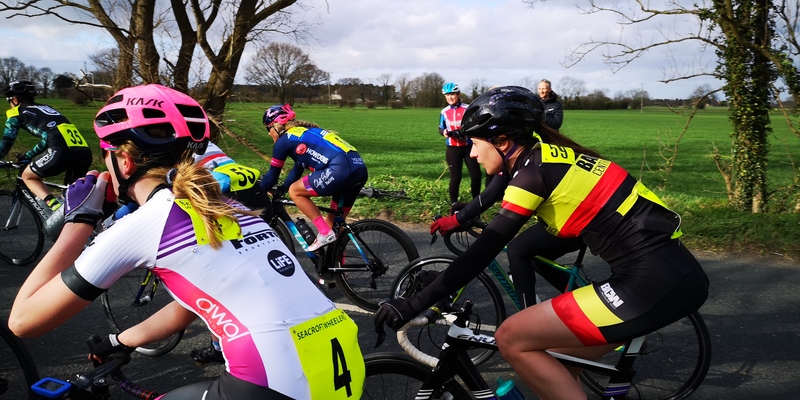 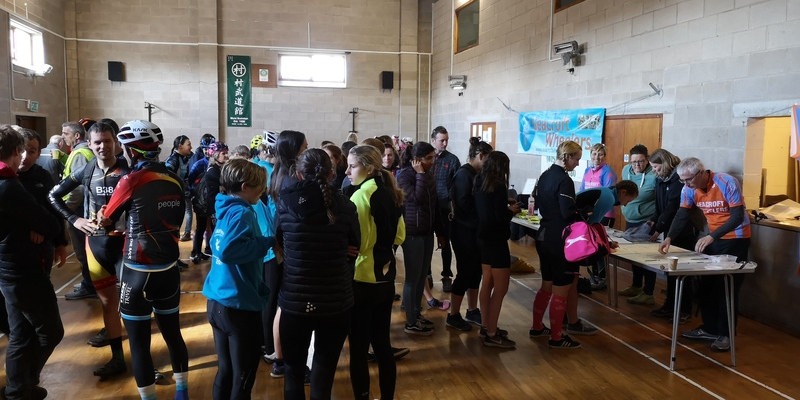 It can’t be stressed enough what a collaborative team effort it was to fill the clubs first womens 3/4 race, from the local cycling community and extended family, who’s amazing support was truly humbling. 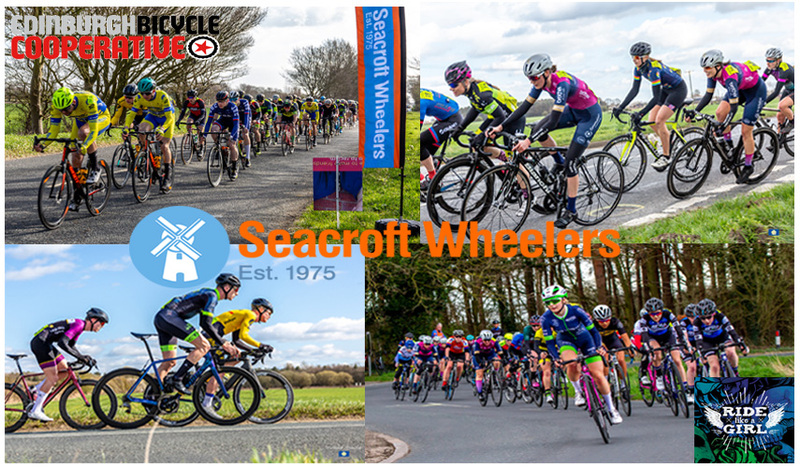 Thank you to everyone who entered, posted, shared and contributed, of which there are too many to list individually. 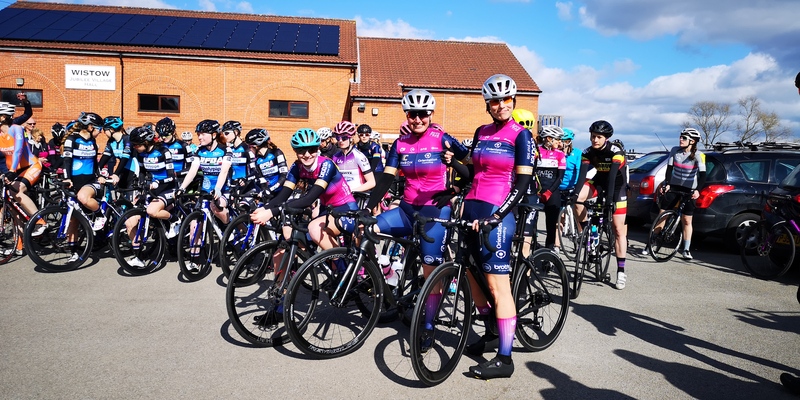 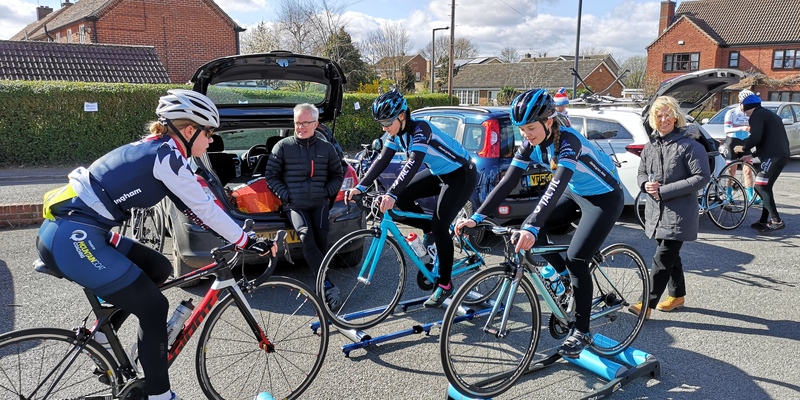 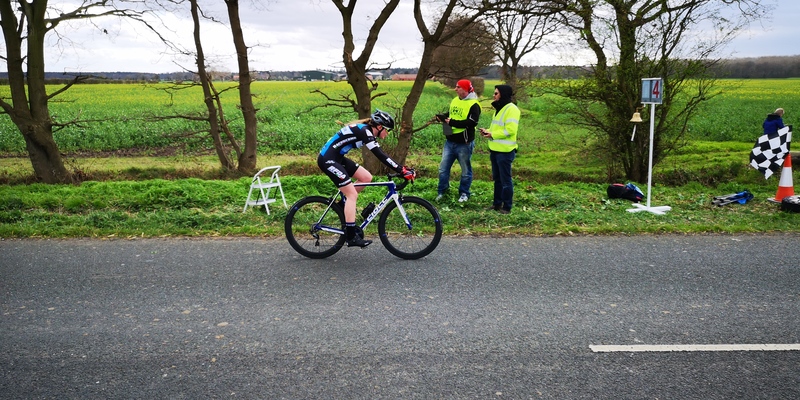 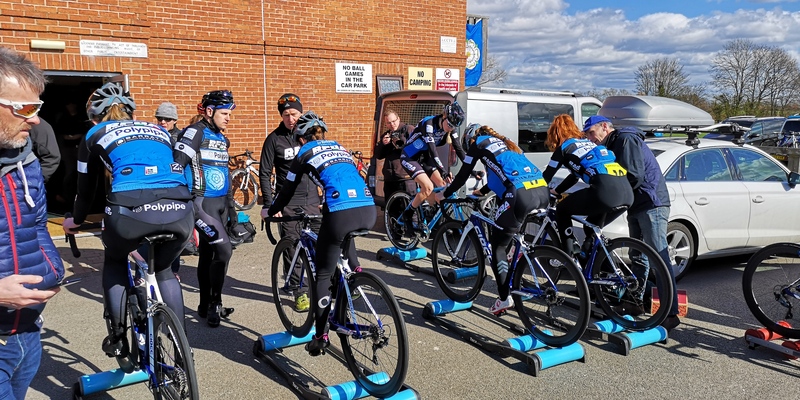 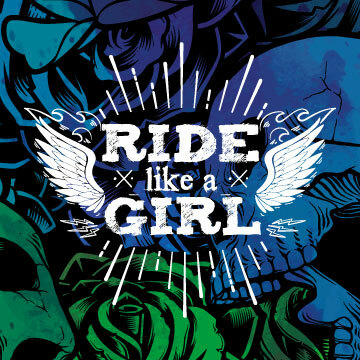 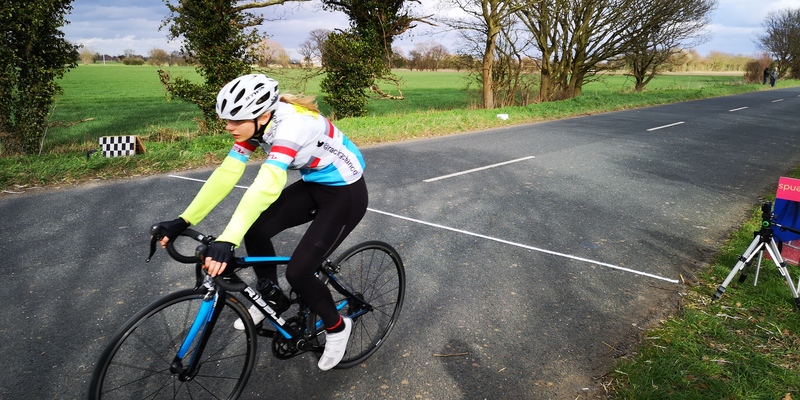 Special mention to Amy and Elle from Ride Like a Girl who worked tirelessly on promoting the event and nurturing the women new to racing, encouraging them to have a go. 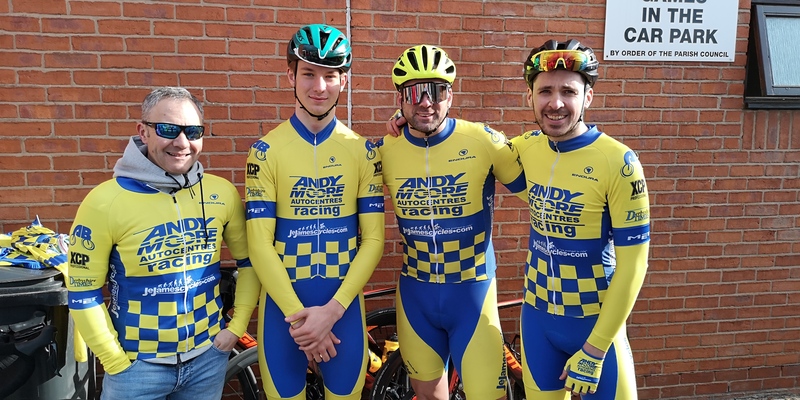 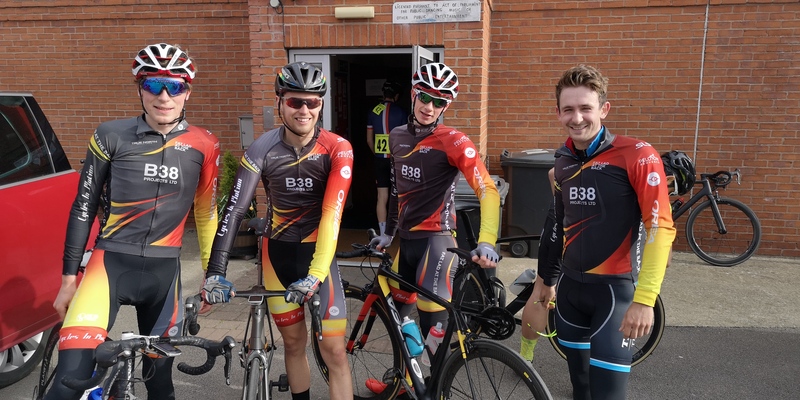 To Ian Cooke and team for bringing 6 of the RFDA squad (clinching the unofficial team prize 🙂 ) closely followed by Team Crimson Performance with 5 (and unnofficial best kit prize). 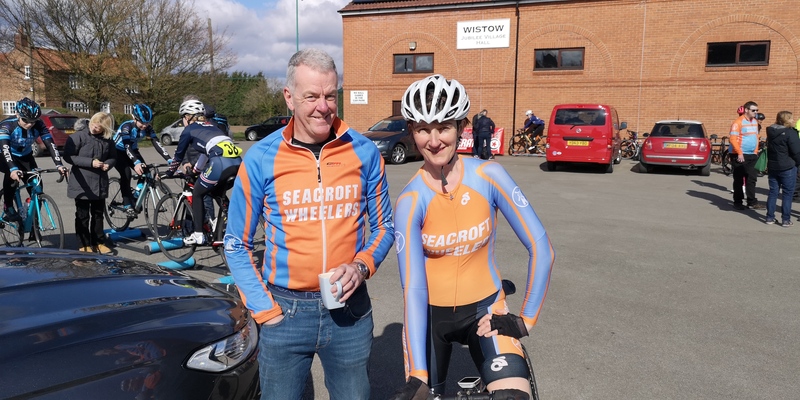 To Seacrofts very own Lynn Hanson for flying the flag for the club and doggedly bringing home a very brave and tenacious 5 lap solo effort. 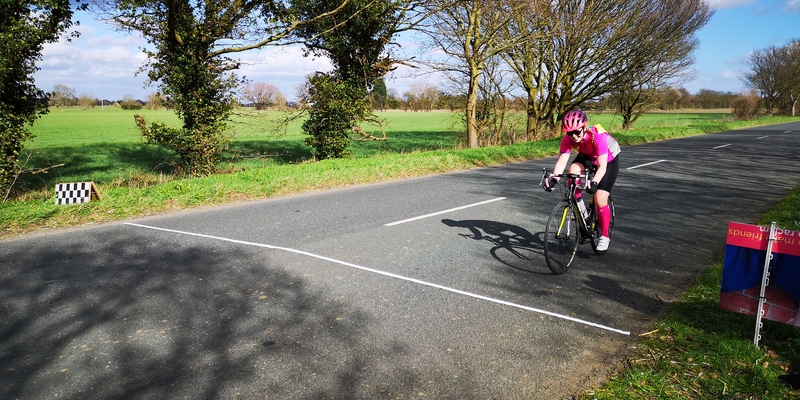 Updated British Cycling results are here. 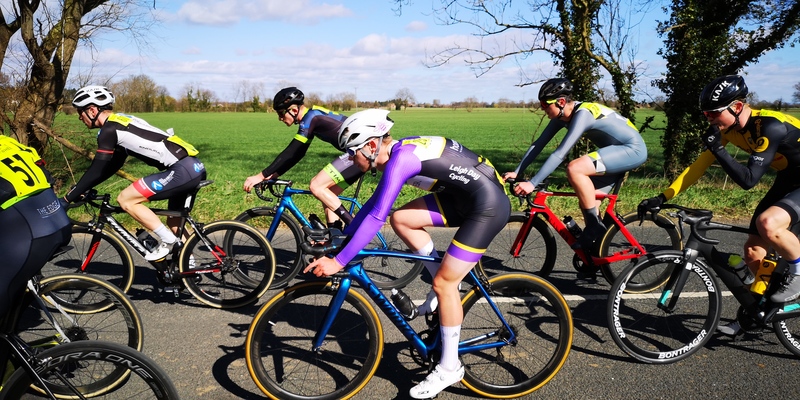 Click here for the much higher resolution (and quality) of Bernard Marsden’s and here for Craig Zad’s photograph albums from the day. 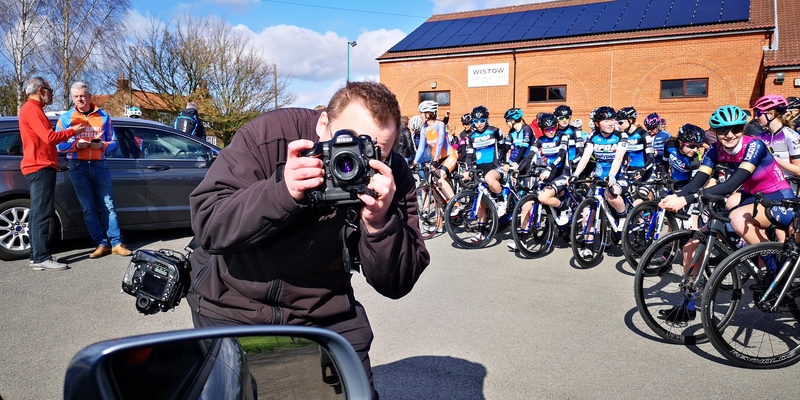 Click the video tab on this link for some footage from the day.